Coming the same year as the eagerly anticipated iPhone X, there’s a good chance you won’t be using 2017 as your year to leave the iOS ecosystem. 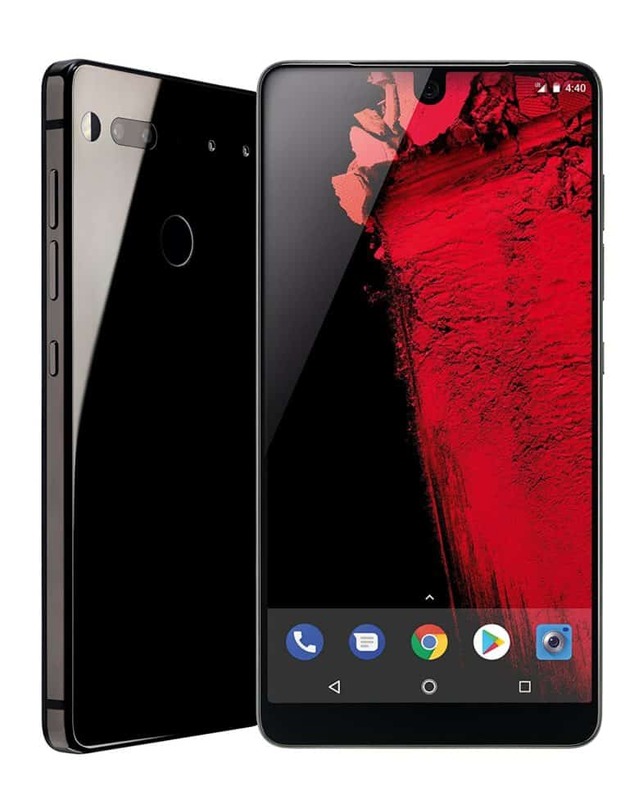 But we couldn’t miss out on this particular offer: bringing Andy Rubin’s clutter-free, streamlined Android flagship to customers for just a few hundred bucks. Heck, throw in the world’s smallest 4K 360 camera and you’ve got one heck of a $399 deal! You’ll possibly find cheaper 43-inch TVs this Cyber Monday, but the quality of this particular model is beyond reproach. For $299.99, this is one heck of a deal! 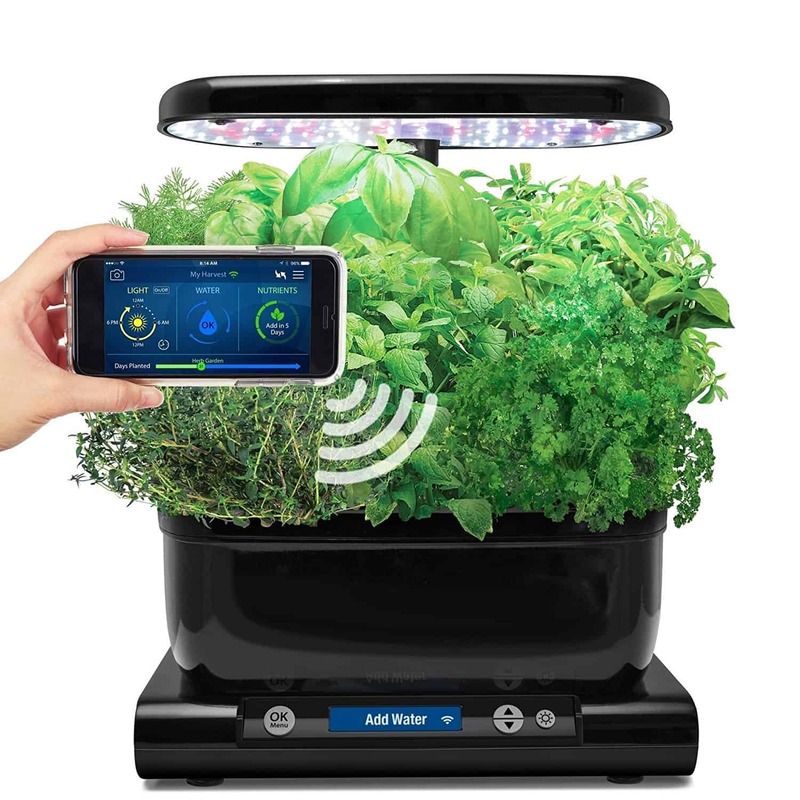 Grow fresh herbs and vegetables all year round with the AeroGarden. This counter-top garden provides everything you need to grow indoors, and thanks to Wi-Fi connectivity, it lets you know when your crop needs water and nutrients. You can grow up to six plants at a time under the high-performance, 20-watt LED lighting system. And because everything grows in water, you don’t have to worry about messy soil. Get yours on Amazon for $89.95 — down from $179.95 — for today only! Amazon slashed $100 off the 23andMe DNA test kit for Black Friday, and now it’s reduced again for Cyber Monday. This time, there’s only $70 off, but that’s still a generous discount that reduces the total price to $129. 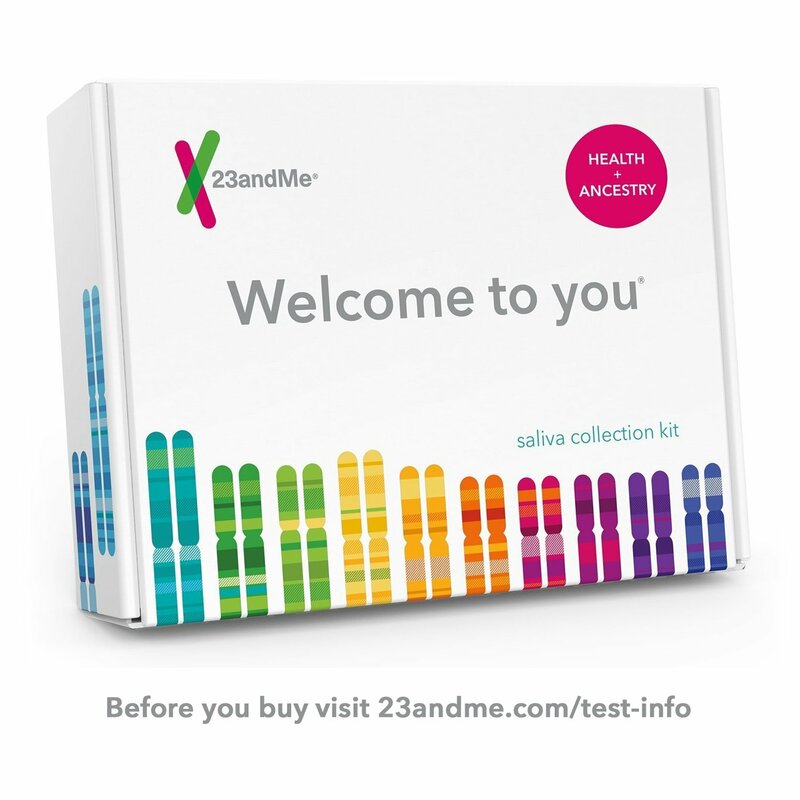 Get insights into your health and ancestry like never before with the 23andMe DNA test. It can reveal genetic health risks and traits, information about wellness, and lots more. Get an Amazon Echo Show for $50 less! You’ve got to give Amazon credit. 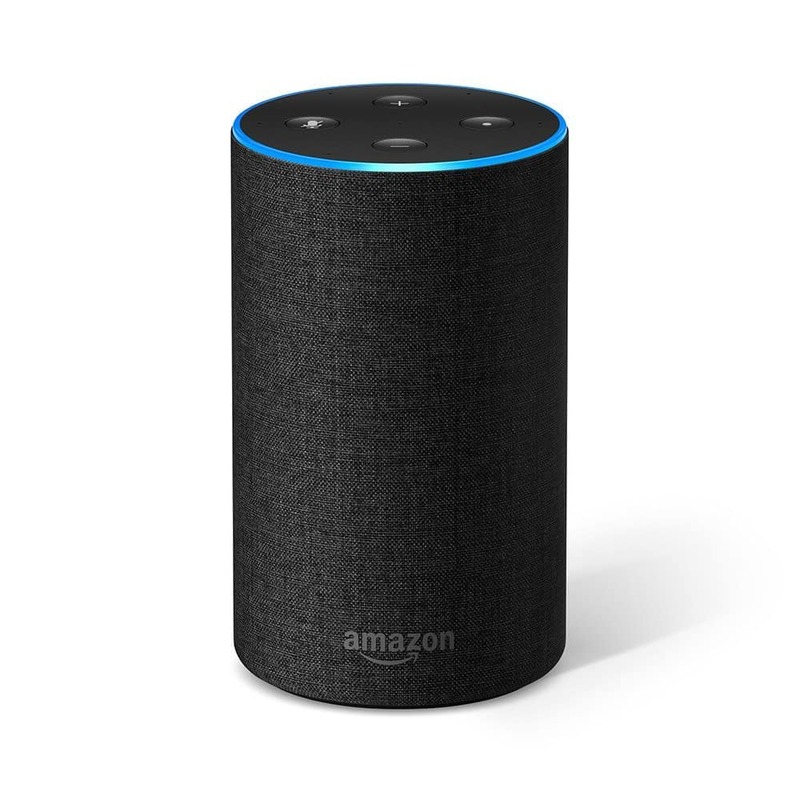 Since it pioneered the smart speaker market with the original Amazon Echo, it’s continued to push forwards by introducing new form factors and features. 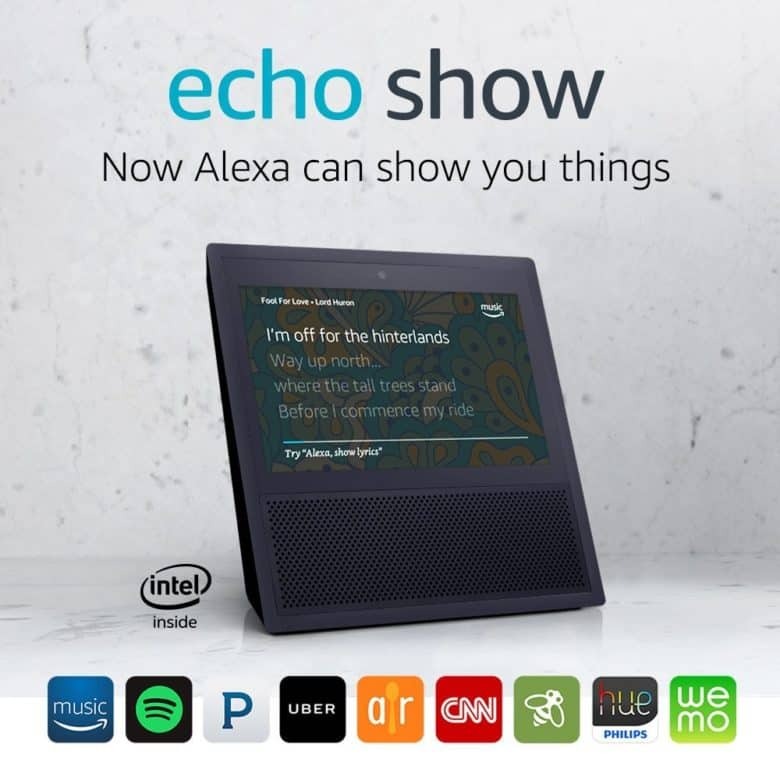 The Echo Show does everything Alexa already does, but adds a screen to the mix for all-new functionality. 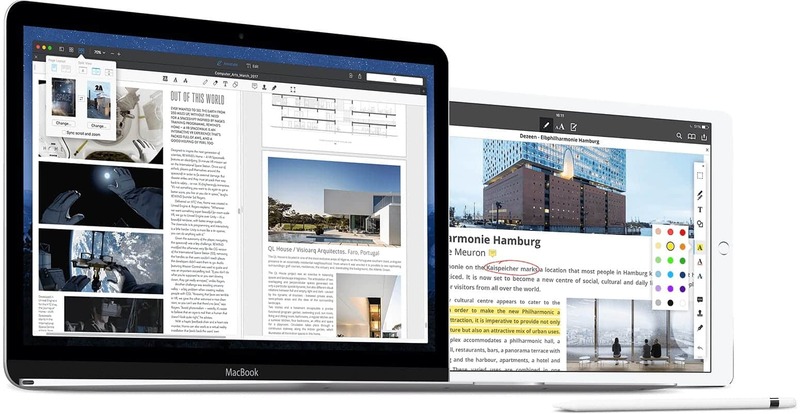 Apple’s most portable notebook is now more affordable, thanks to Amazon. All color options have $300 off for today only, which means you’ll pay just $999. For that, you get an Intel Core m5 processor, 8GB of RAM, a 512GB SSD, and Intel 515 graphics. You also get one of the prettiest laptops money can buy, with a gorgeous 12-inch 2304×1440 display. If you missed out on Amazon’s earlier deal on the Bose SoundSport wireless headphones, you have a second chance to get them cheap. This discount isn’t quite as generous as before, but it’s still decent. 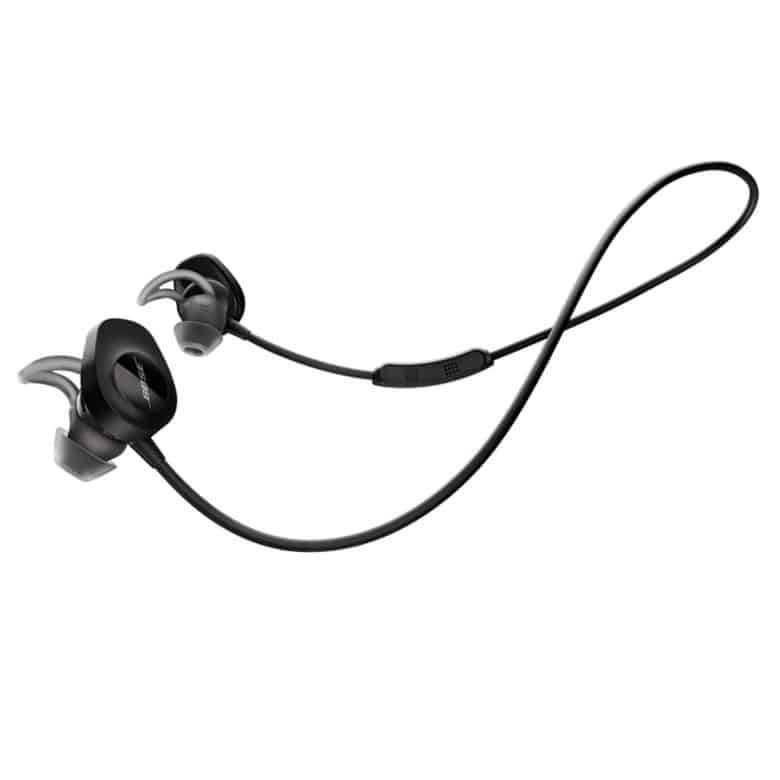 The SoundSport offer high-quality and consistently balanced audio at any volume, thanks to Bose active EQ. Stay Hear+ tips keep the earphones secure at all times — even when you’re working out — and you’ll get around 6 hours of battery life in between charges. Grab yours now for $99 — $50 off the regular price. Routers don’t have to be dumb and complicated. The Netgear Nighthawk is a smart router you can control with Amazon Alexa. 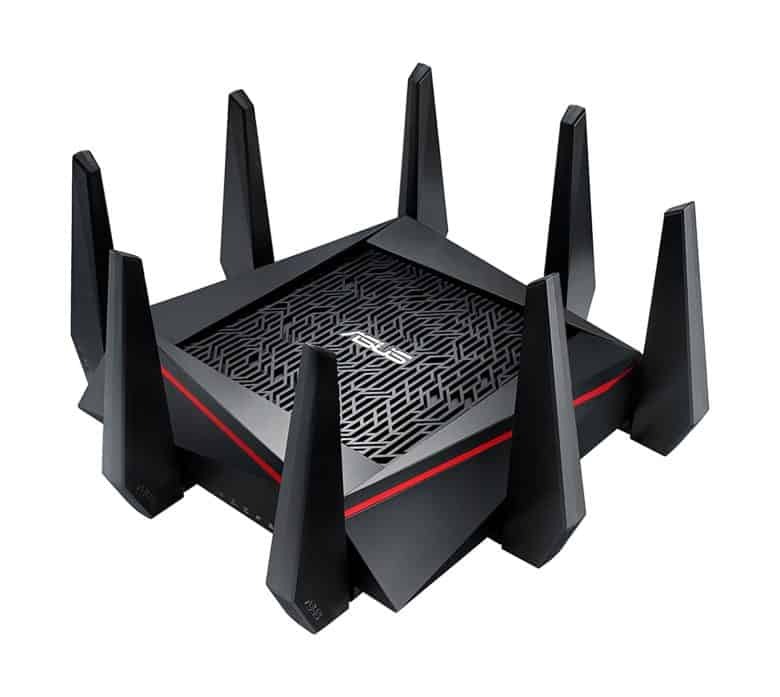 It also promises incredibly fast Wi-Fi with great range, lag-free gaming, and stable streaming for all your devices. Get yours today on Amazon for $139.99 — $80 off its regular price. 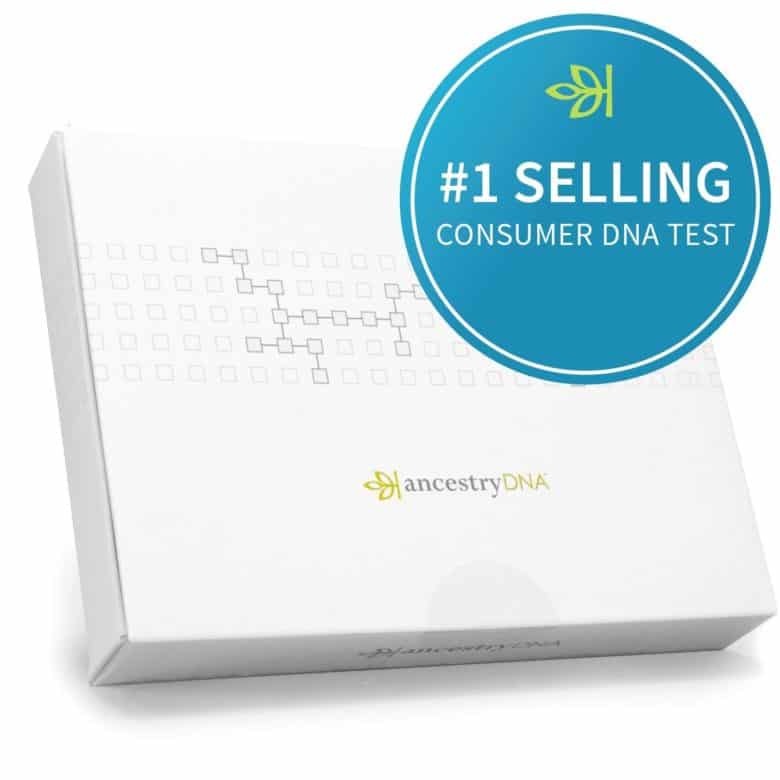 Pick up the best-selling consumer DNA test and uncover your ethnic mix. AncestryDNA has the world’s largest DNA network across 165 regions worldwide. It promises to be the only DNA test that gives you 6 million chances to find new relatives. The kit is normally priced at $99, but get yours on Amazon today and you’ll pay $54.99. Need an ultra-affordable notebook that’s small enough to take anywhere? 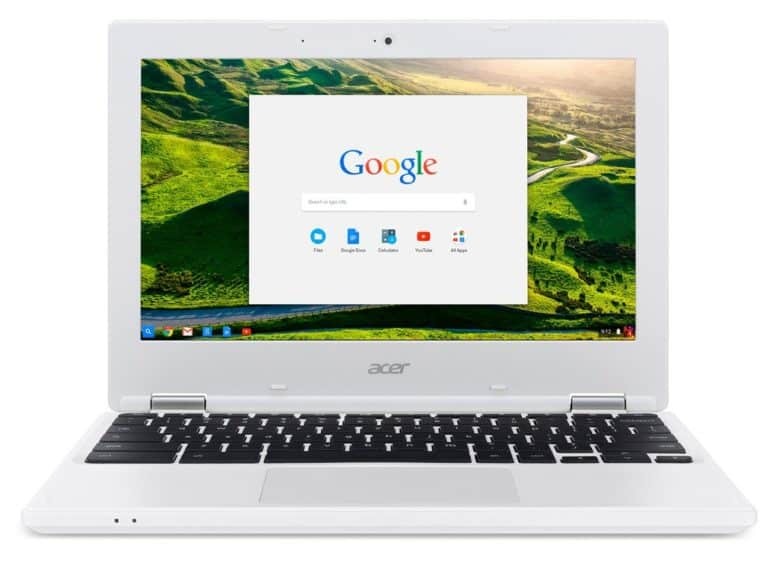 Check out the Acer Chromebook 11. It’s powered by an Intel Celeron processor, 4GB of RAM, 16GB of storage, and Chrome OS — and it can be yours today for just $129.99. That’s $70 off its regular price tag! 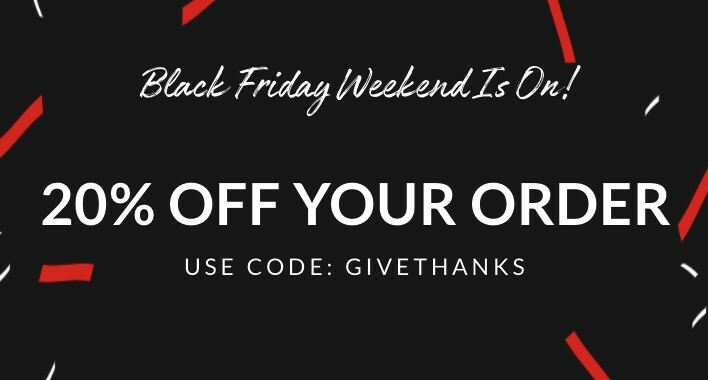 Future Motion, makers of Onewheel+, is offering an unprecedented Black Friday Sale that will run through Cyber Monday. Discounts on the Onewheel+ have been practically impossible to fine until now. 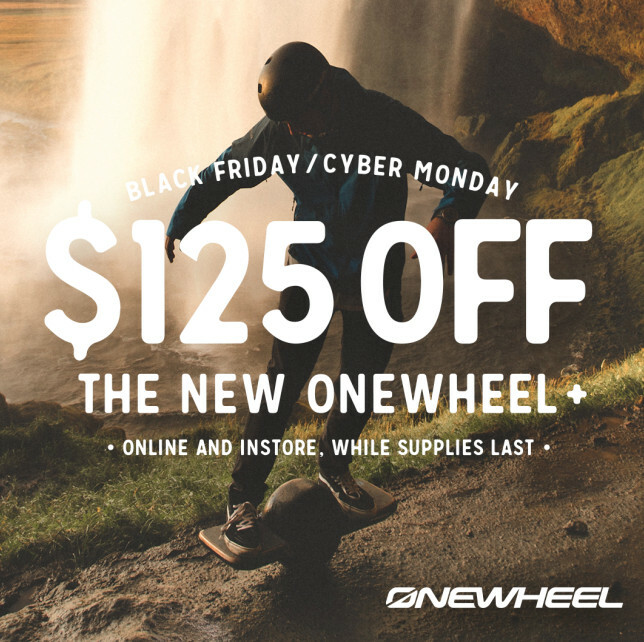 You can take advantage of $125 discount on the Onewheel+ from 6pm, November 23rd to midnight November 27th, Onewheel+. This puts the price of the Onewheel+ $1,374 and it includes free US shipping. 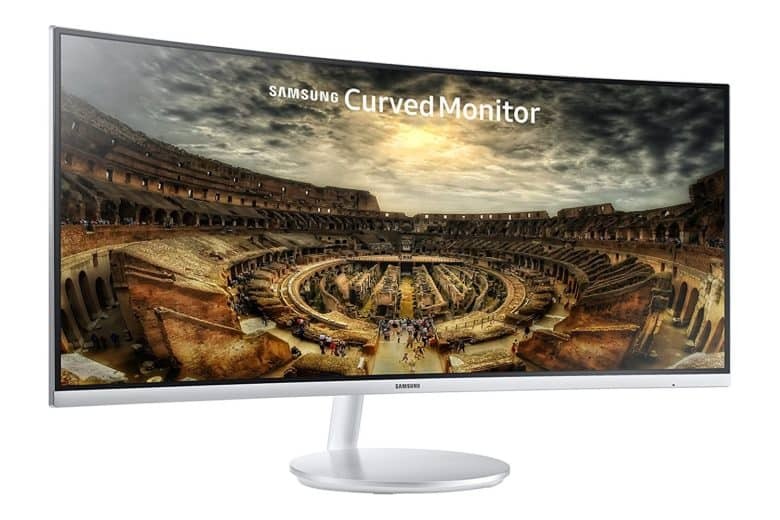 Black Friday is officially here and save big on a new curved monitor. 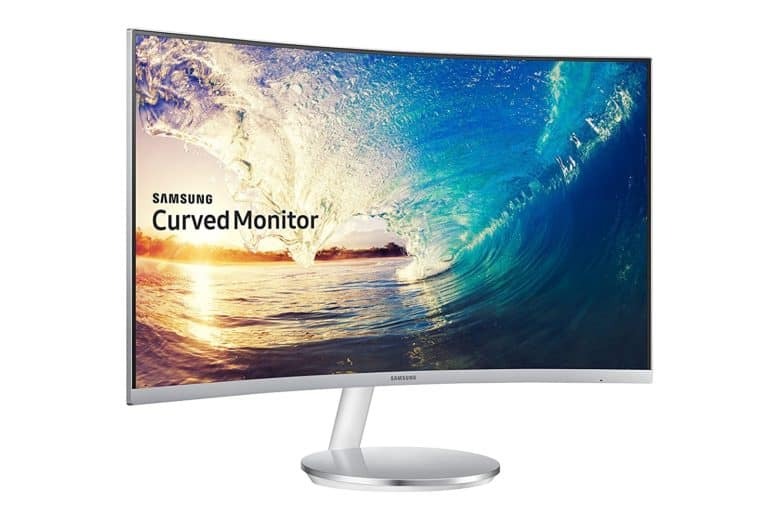 The Samsung CF791 Series 34-Inch Curved Monitor will drastically change your viewing experience. It features a 100h Hz Screen Refresh Rate and a 4ms Response Time to reduce latency. The list price is $150, but Amazon is selling it for $130 (13% off). 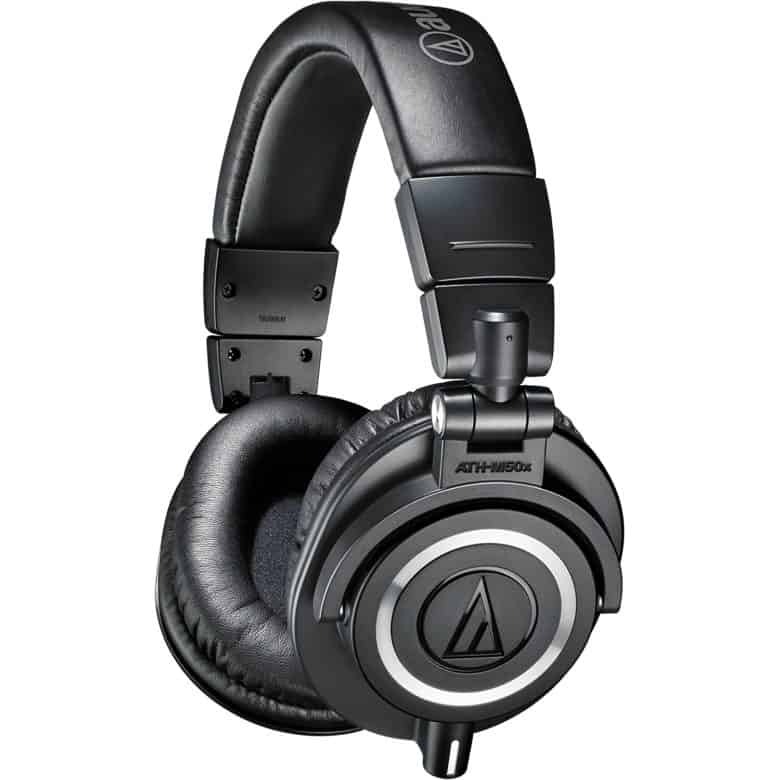 Listen to music in a whole new way with Audio-Technica ATH-M50x Professional Monitor Headphones. Its critically acclaimed sonic performance praised by top audio engineers and pro audio reviewers.It provides exceptional clarity throughout an extended frequency range, with deep, accurate bass response. 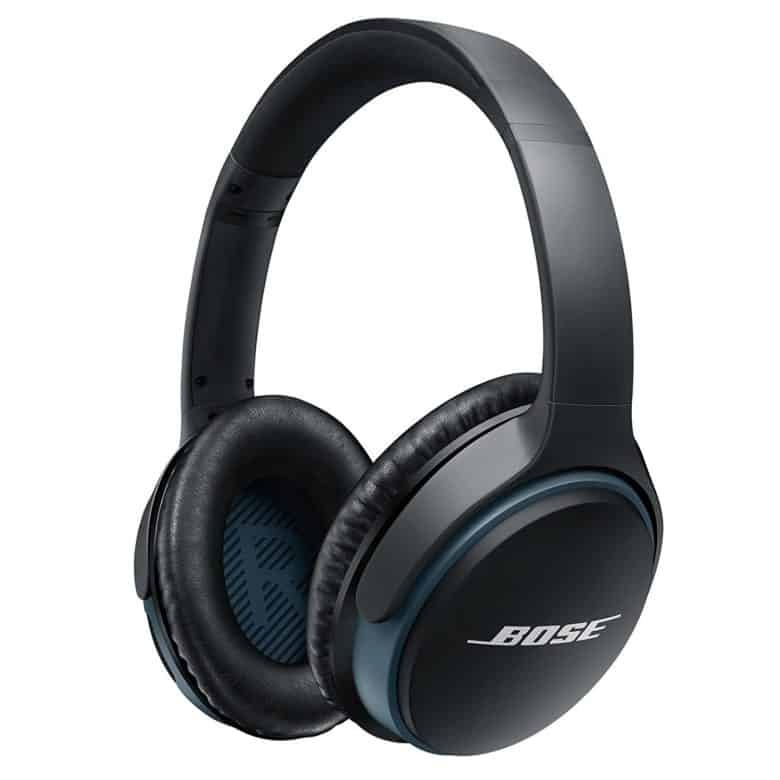 Improve your listening experience with the Bose SoundLink around-ear wireless headphones. It provides a deep, immersive sound and also features an advanced microphone system for clear calls in windy or noisy environments. The battery lasts up to 15 hours of playtime. The list price is $230, but Amazon is selling it for $200 (13% off). Meet your fitness goals this holiday season with the Garmin vivofit 3 Activity Tracker. It has the ability to capture different activities automatically and you can view them on Garmin Connect online. It has a one year battery life, so there is no need for recharging. Tired of constantly losing your keys or electronics? 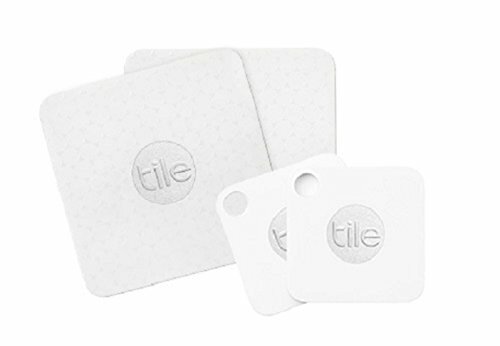 Never lose anything again with Tile trackers. Use your smartphone to make your Tile ring when it’s nearby but out of sight. Get a great deal on a new car stereo. 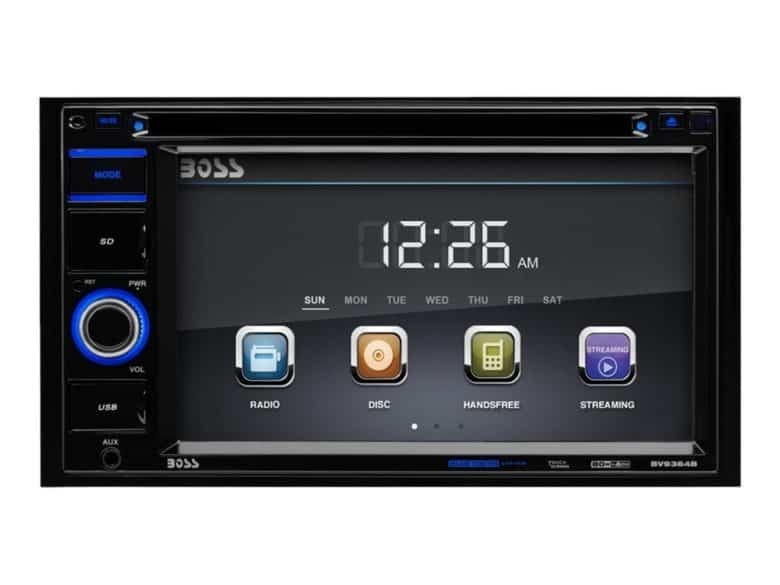 The BOSS Audio BV9364B AM/FM Car Stereo plays Bluetooth / DVD / CD / USB / SD / MP3 / WMA, AM/FM from Smart Phones and other devices. 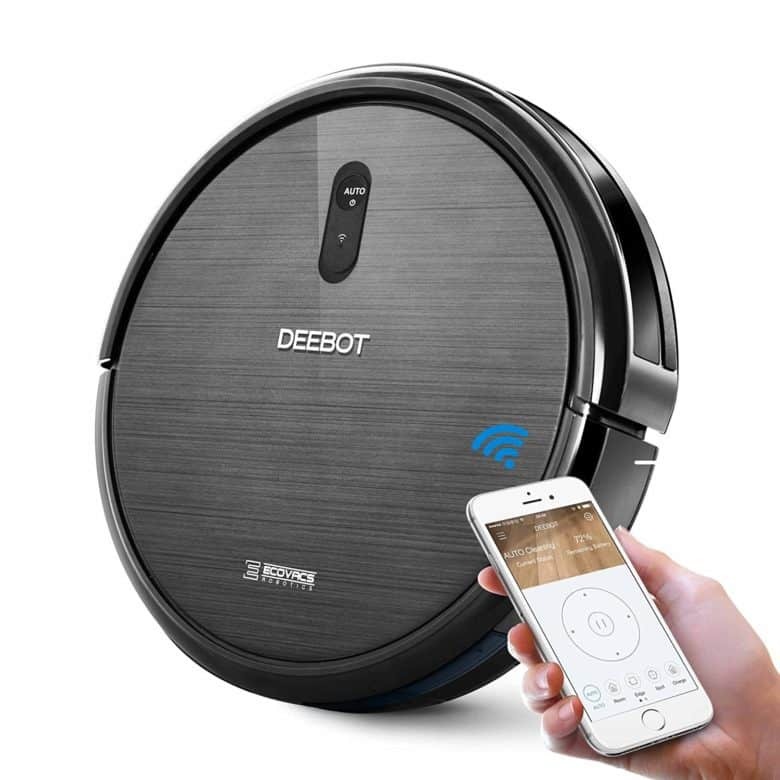 Clean your house on the road with the ECOVACS DEEBOT N79 Robotic Vacuum Cleaner. Schedule when you want your house clean with your iPhone. It has a three-tier cleaning system and anti-collision sensors so no spot goes uncleaned. 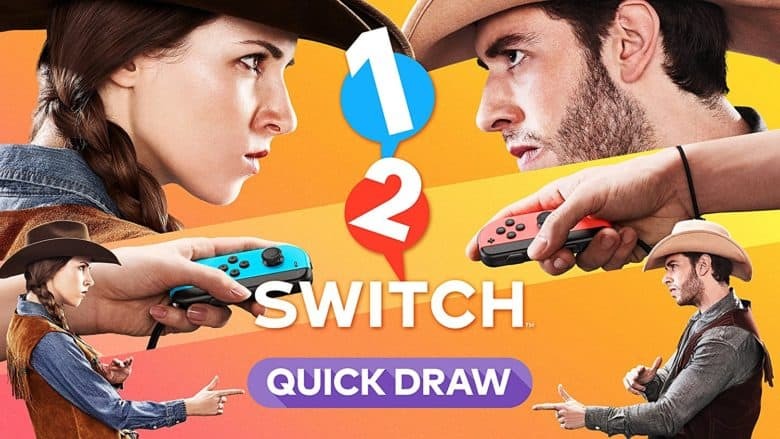 One of the most enjoyable party games you can get for Nintendo Switch is half price for a limited time as part of an Amazon Lightning Deal. Act fast to get your copy for just $24.99. 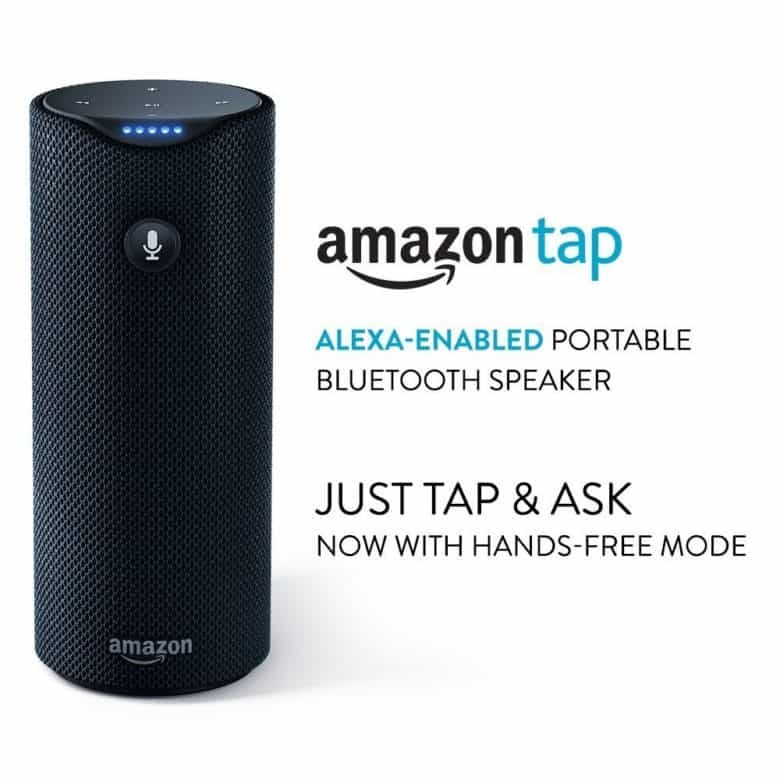 Take Alexa with you wherever you go with Amazon Tap, the portable Bluetooth speaker. 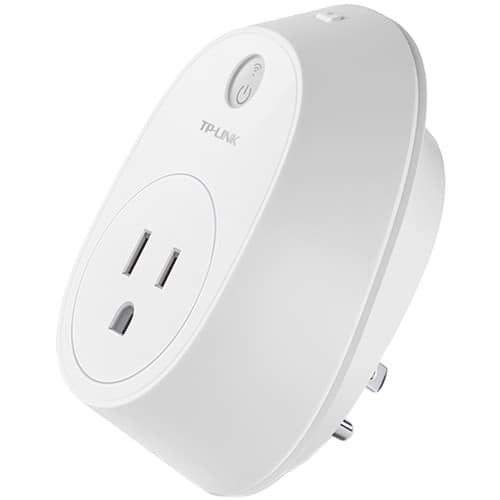 It provides up to 9 hours of use in in between charges, and connects to Alexa Voice Service when a Wi-Fi network is available. And when there is no Wi-Fi nearby, Tap can stream all your music via Bluetooth from your phone. Get yours today for just $79.99 and take advantage of Amazon’s generous $50 price cut. 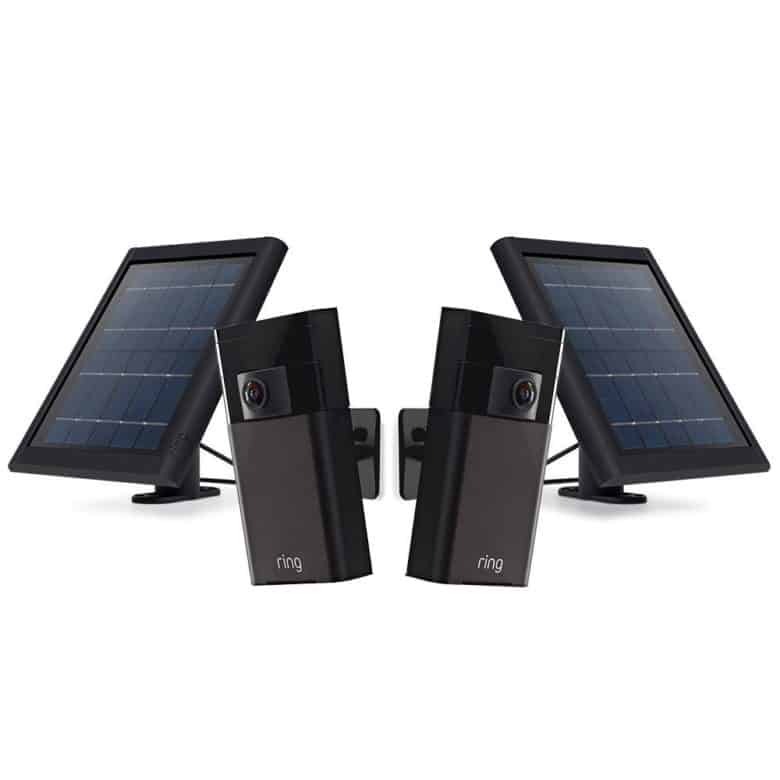 Securing your home couldn’t be simpler with the Ring stick up camera and solar panel bundle. See, hear, and speak to anyone on your property via your smartphone, tablet, or PC with HD video recording, two-way audio, night vision, and built-in motion sensors. Get yours today from Amazon for $299 and save $157. Want a fitness tracker without the fancy frills? 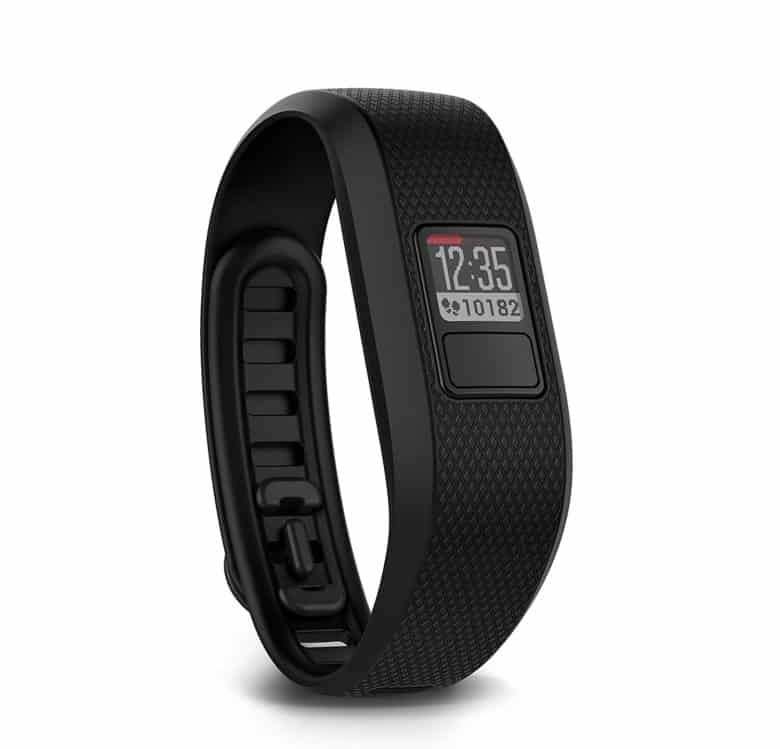 Check out the Garmin Vivosmart HR+. 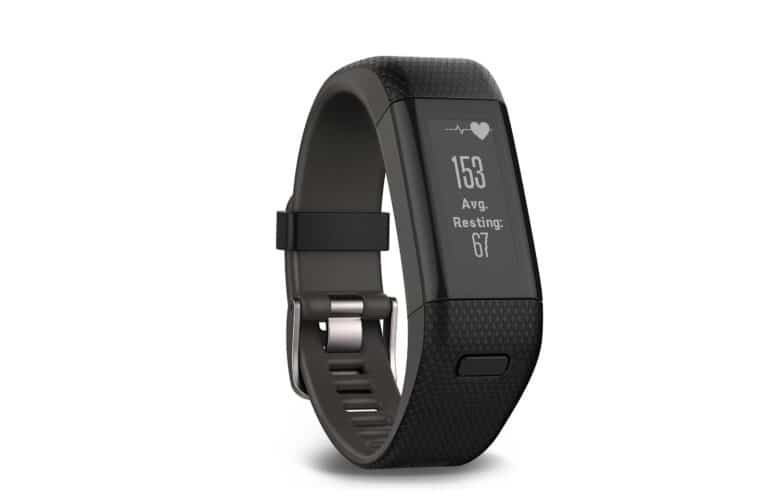 It has a built-in GPS for run tracking, 24/7 heart rate monitoring, and the ability to automatically track all your workouts. It’s usually priced at $199.99, but you can get yours on Amazon today for just $89.99. 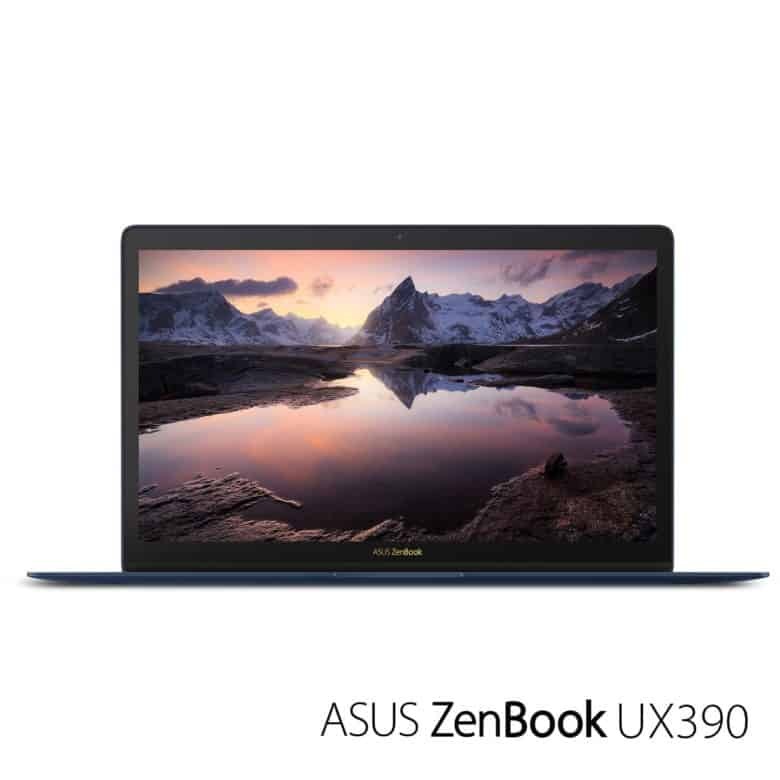 The ASUS ZenBook 3 is the closest thing to a Windows-powered MacBook. 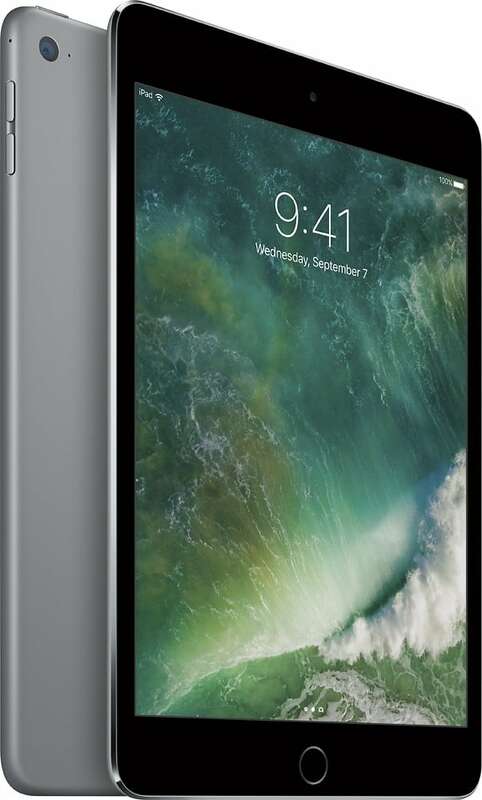 It sports a stunning aluminum unibody design, a 12.5-inch Full HD display, and all-day battery life. It’s also a lot more powerful than a MacBook, thanks to an Intel Core i7 processor, 16GB of RAM, and 512GB of storage as standard. Get yours today on Amazon for just $999 — down from $1,299. 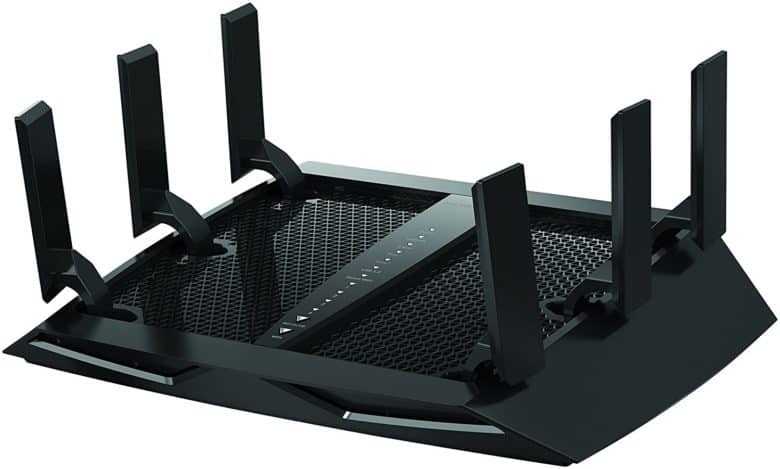 Get better connectivity all around your home with the ASUS AC5300 Wireless Tri-Band Router. 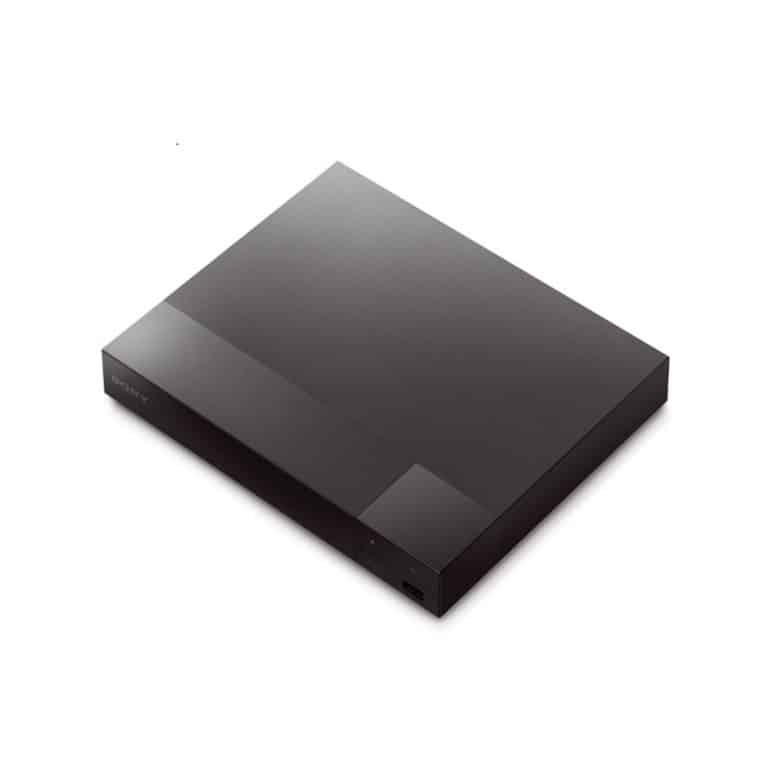 It supports both dual 5GHz and single 2.4GHz frequencies, with the latest 802.11ac 4×4 technology. It has a throughput of 5334Mbps and promises coverage up to 5,000 square feet. Save $90 by buying yours today on Amazon for $259.99. 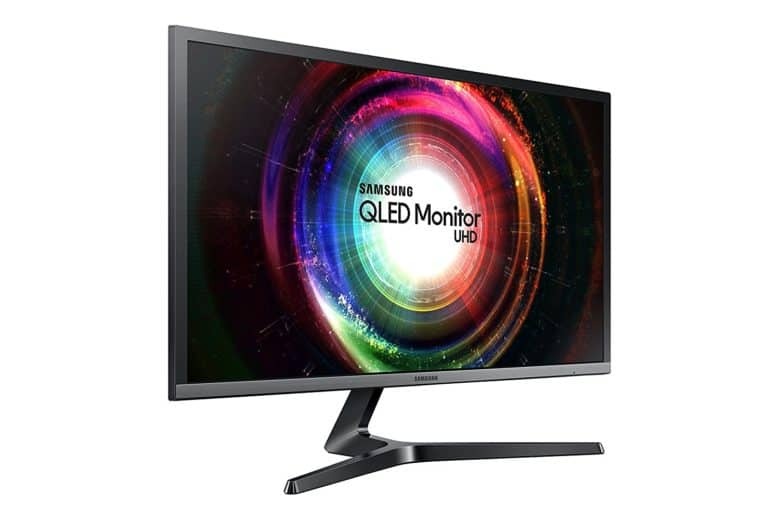 Need a new monitor that’s good for gaming? 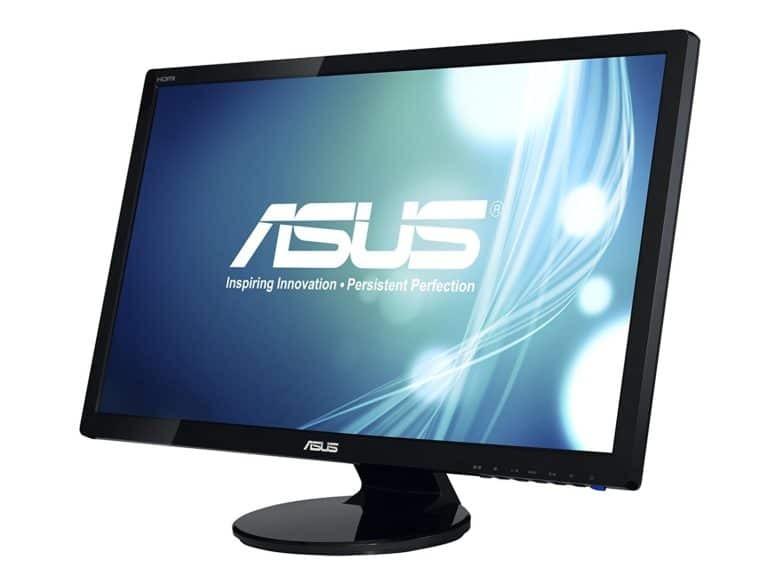 The ASUS VE278Q boasts a 27-inch Full HD display with a fast 2ms response time. It has HDMI, D-Sub, DisplayPort, and DVI-D connectivity; built-in 3W speakers, and a 10,000,000:1 contrast ratio. Get yours from Amazon today and you’ll pay just $145 — saving you $35.45. Apple Watch Series 1 for a big discount! The Apple Watch Series 1 isn’t the newest Apple Watch, but if you’re looking to get your hands (well, wrist) on Apple’s debut wearable device, this is one of the best deals we’ve seen — reducing the usual $249.99 price to $179.99. 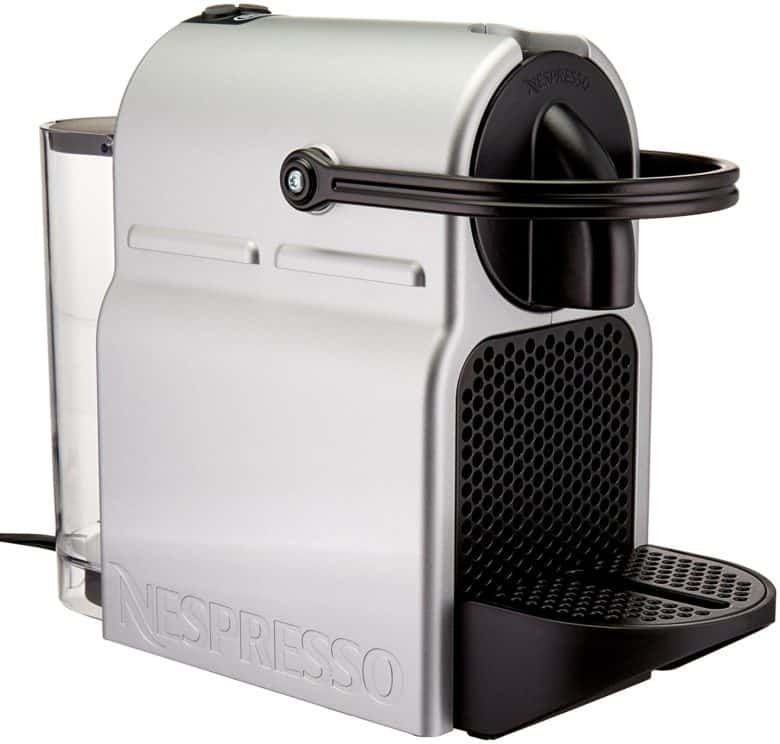 Missed out on Amazon’s deal on the Nespresso Inissia espresso machine earlier this week? Well don’t worry, because it’s now even cheaper at $65.99 — down from $149. 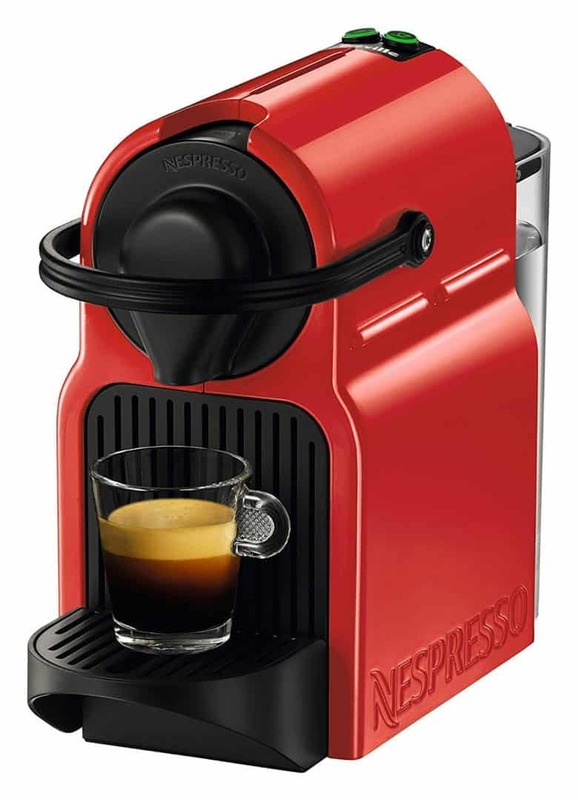 This baby pours you a delicious cup of barista-style espresso every time, with a simple one-touch operation. It’s compatible with all Nespresso capsules, and ships with a welcome set packing a range of coffees for you to try. 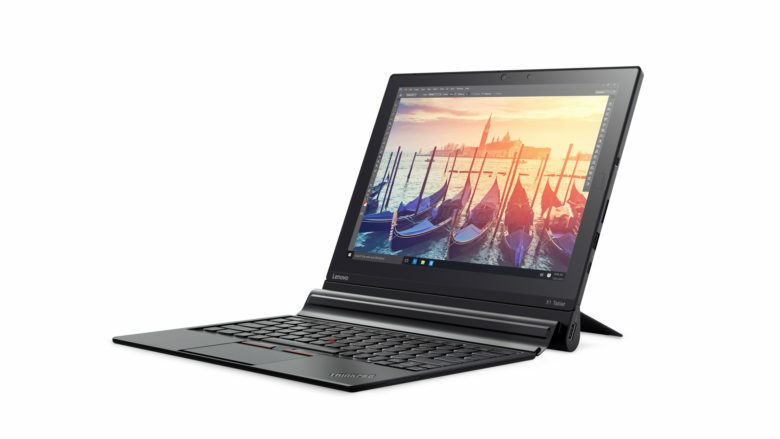 Save a whopping 40 percent on the Lenovo ThinkPad X1 Tablet with a 12-inch Full HD touchscreen, Intel Core m5 processor, 4GB of RAM, and 128GB of storage. It ships with a detachable keyboard and Windows 10 Pro pre-installed — all for just $599.99, down from $999.99, for today only. 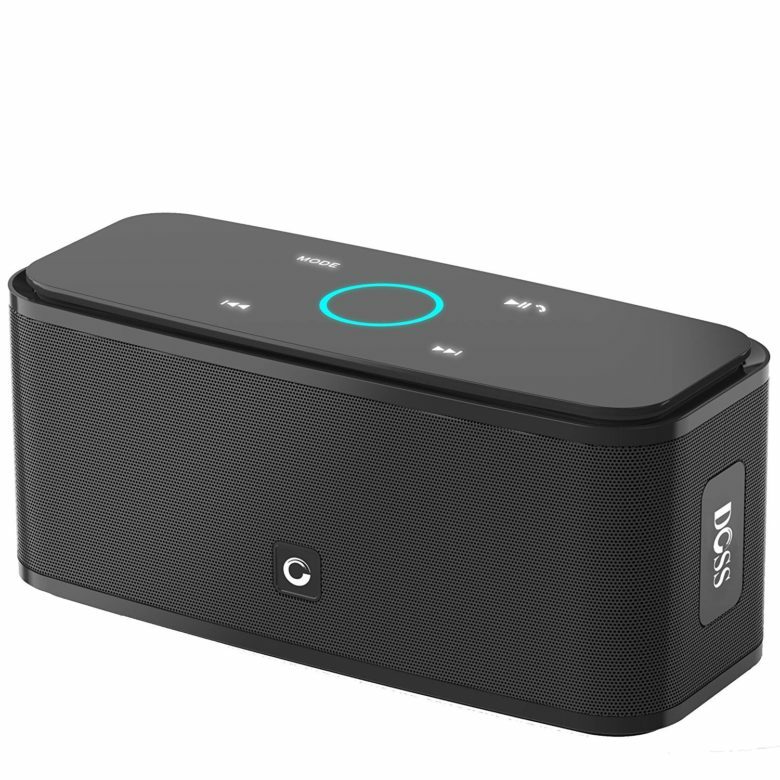 The DOSS Touch Bluetooth speaker boasts capacitive touch controls, Bluetooth 4.0 connectivity, up to 12 hours of playback in between charges, and most importantly, superior sound quality. It’s small enough to take anywhere, and for today only, you can get yours on Amazon for just $23.79 — down from $89.99. 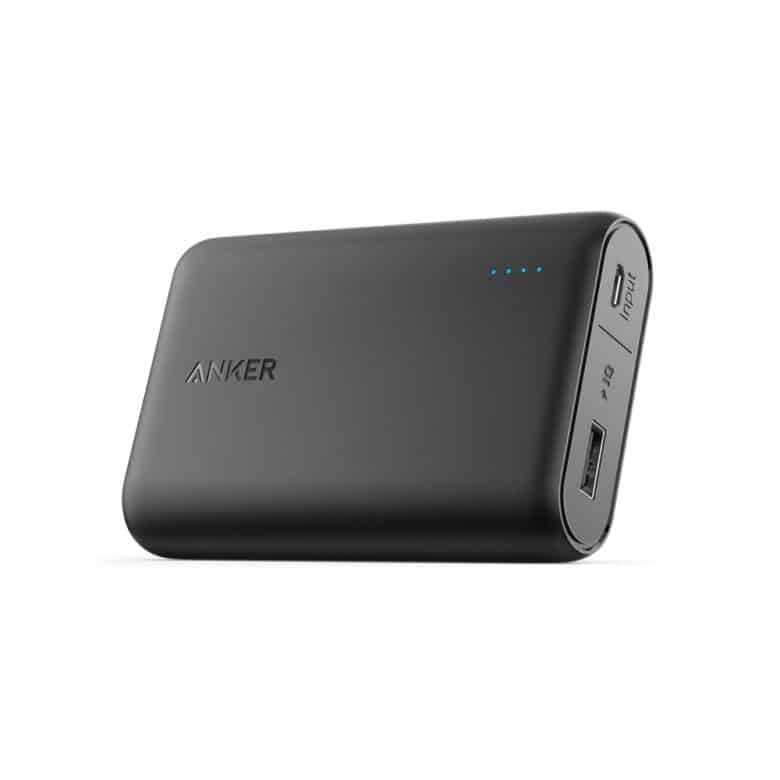 The Anker PowerCore promises to be the smallest and lightest 10,000mAh power pack. It boasts high-speed charging for all your favorite gadgets, and it can charge your smartphone up to three and a half times before it needs topping up again. Get yours on Amazon today for just $19.99 — down from $49.99. The at-home saliva collection kit is usually priced at $199, but for Black Friday, you can get yours on Amazon for just $99.99. This one’s for the kids and… okay, who are we kidding? No self-respecting startup or modern office should be without a Nerf gun. 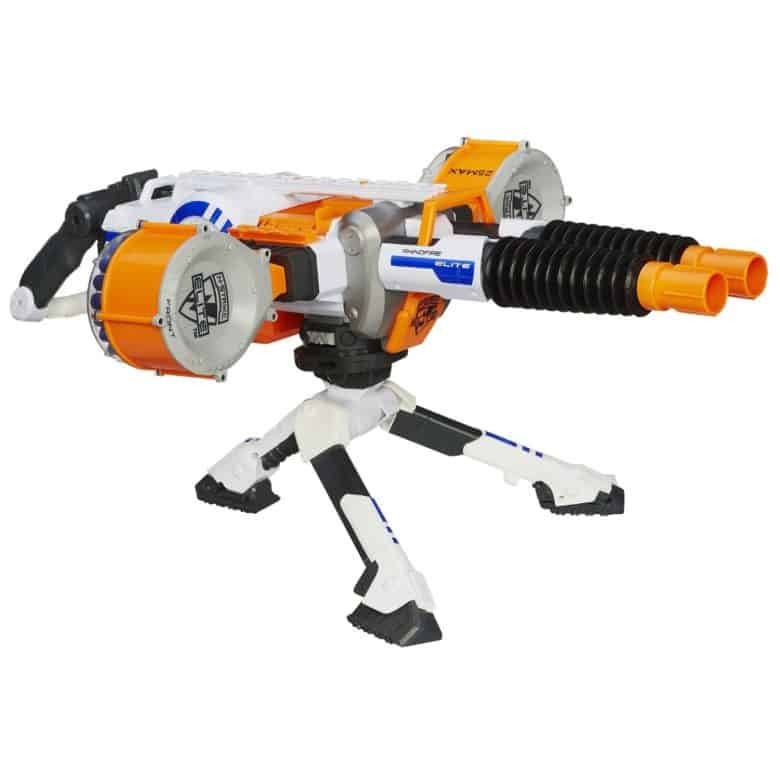 This rapid-fire blaster would usually cost you $100, but is currently selling for just $57.97 — giving you a little more than 40 percent off. It’s the time of year to catch up on all the TV shows, movies, and apps you’ve missed over the warmer summer months. This offer is limited to one per customer, and is activated by entering the code “ITUNES15” at checkout. 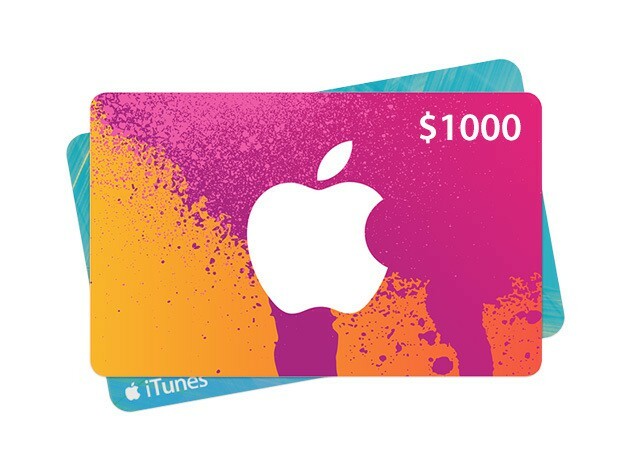 It will also apply no matter how you make up your $100 — so that could be a single $100, 2x $50 vouchers, or so on. 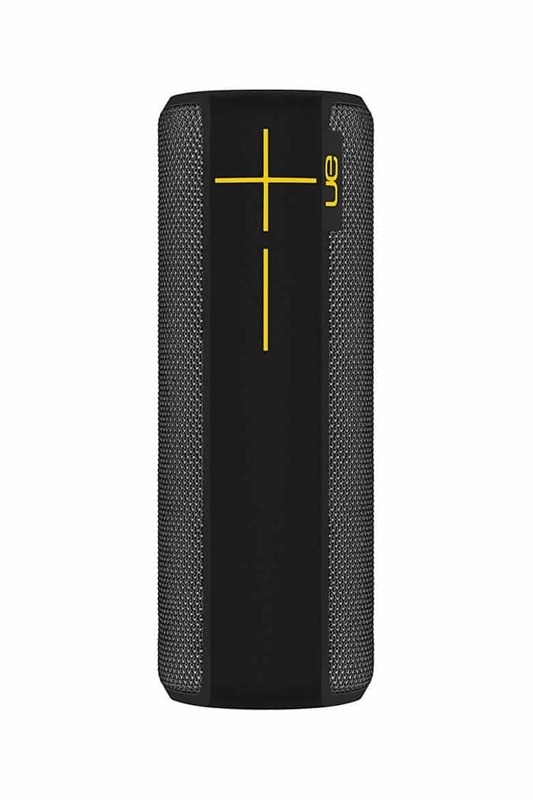 The UE BOOM 2 wireless speaker is great for parties and barbecues. The 360-degree speaker drops bold, immersive sound in every direction. Switch songs, adjust volume and take phone calls from up to 50 feet away. The list price is $200, but Amazon is selling it for $79.99 (60% off). Get a new iPad this Black Friday for $125 off. 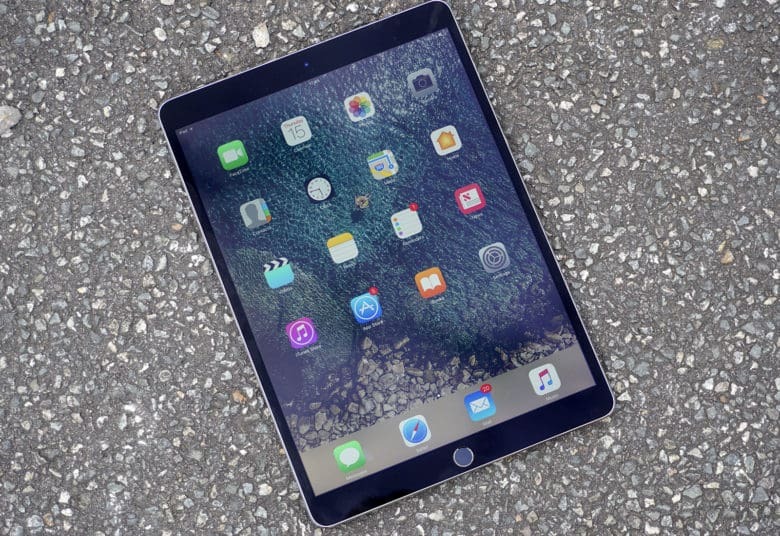 The iPad has a 7.9-inch Retina display while weighing less than a pound! 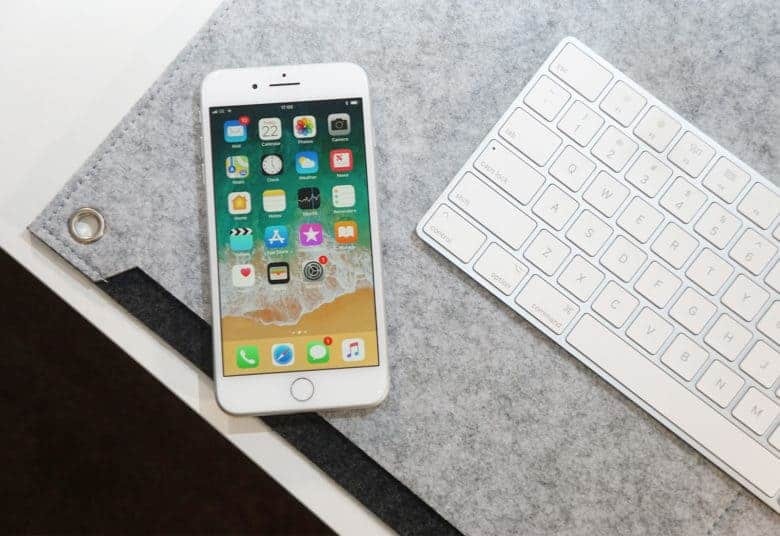 It has a powerful A8 chip with 64-bit desktop-class architecture, advanced iSight and FaceTime HD cameras, Wi-Fi and LTE connectivity, iCloud, Touch ID fingerprint sensor, and up to 10 hours of battery life. The list price is $400, but Amazon is selling it for $274.99 (39% off). 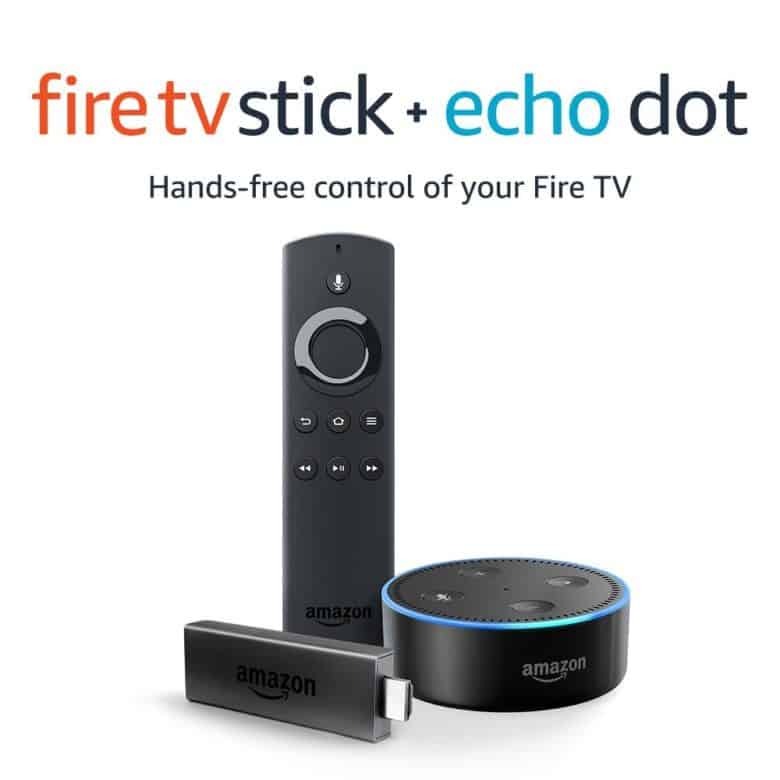 Improve your home entertainment with the Fire TV Stick with Alexa Voice Remote and Echo Dot. Find, play, and control movies and TV shows from Netflix, Prime Video, Hulu, SHOWTIME, NBC, and more using just your voice. Echo Dot has 7 far-field microphones that hear you from across the room for hands-free voice control, even while watching a movie or listening to music. The list price is $90, but Amazon is selling it for $55 (39% off). works with Alexa & Google Assistant. Comes in a package of two. The list price is $70, but Amazon is selling it for $35 (50% off). Time to step up your home security? 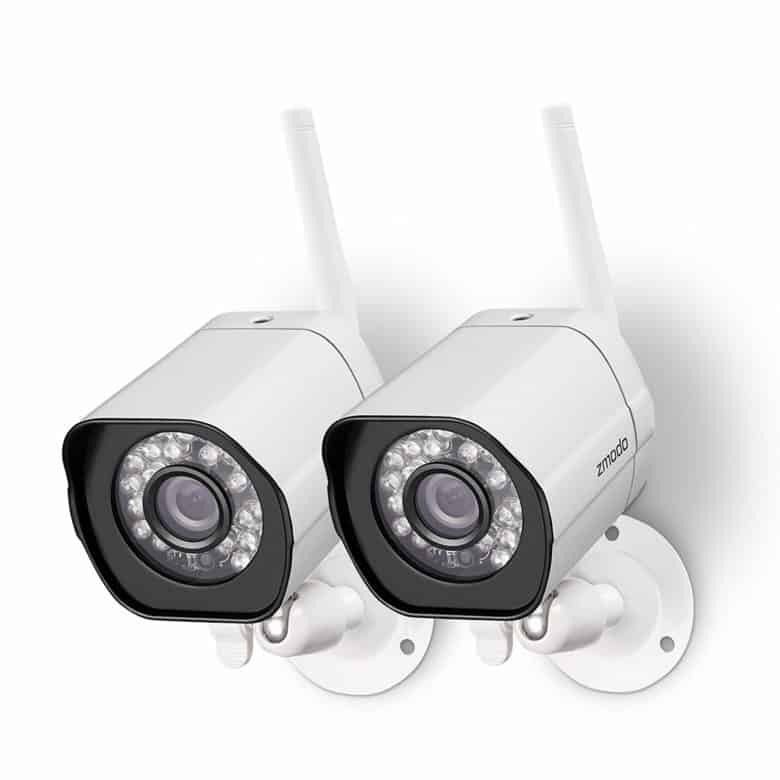 Pay just $48.50 for complete peace of mind from the Zmodo 720p HD outdoor camera duo. They’re designed for outdoor use, with motion detection, night vision, and automatic video uploading to the cloud. Stuck for plans this Thanksgiving weekend? Why not kick back with a movie? Amazon has a mammoth selection of massive movies for $10 or less. The sale includes Wonder Woman, John Wick Chapter 2, War for the Planet of the Apes, Baby Driver, The LEGO Batman Movie, and many more. 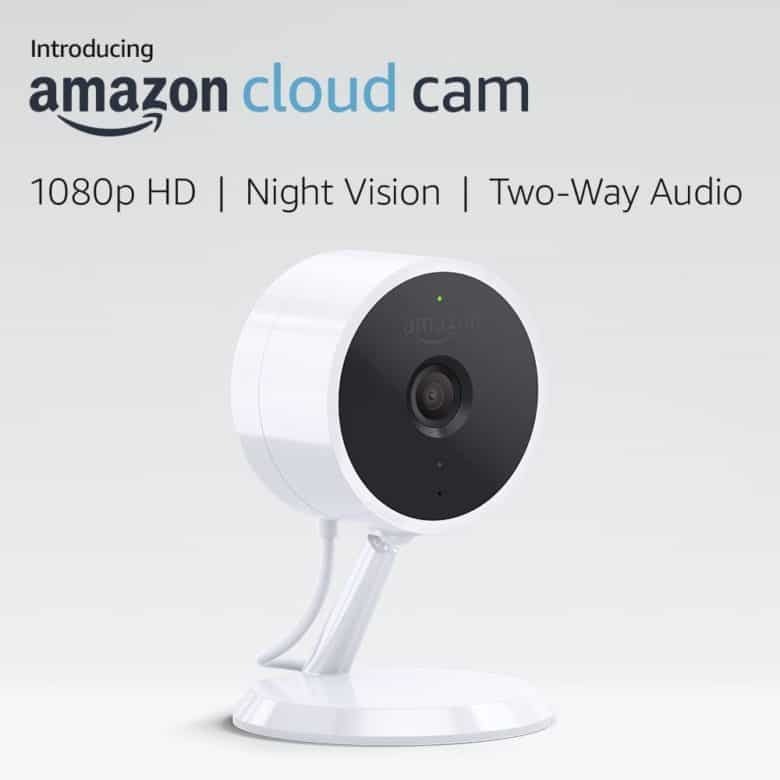 Amazon’s new Cloud Cam can be yours $20 cheaper for a limited time. Enjoy 1080p video, night vision, two-way audio, intelligent alerts, and Alexa compatibility for $99.99. 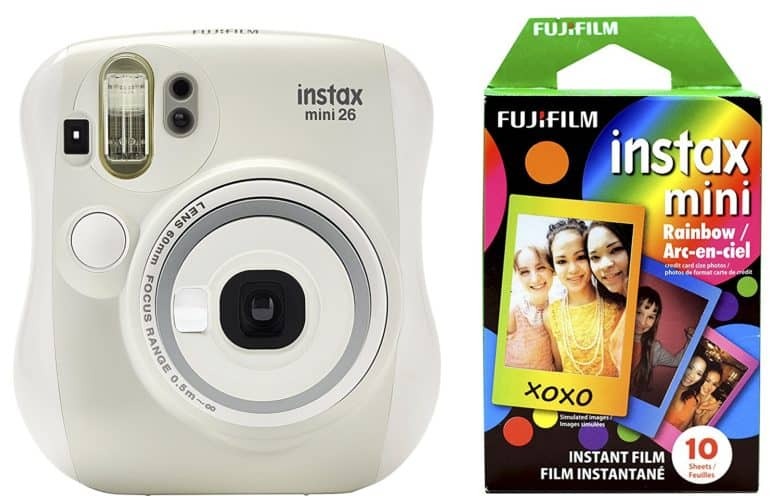 Bring photos back to life with the Fujifilm Instax Mini 26. It prints your photos almost as fast as you can snap them, and couldn’t be easier to use. It’s great for taking close-up photos, selfies, and more — anytime, anywhere. Get yours on Amazon with a rainbow film pack for $49.99 — down from $69.99. 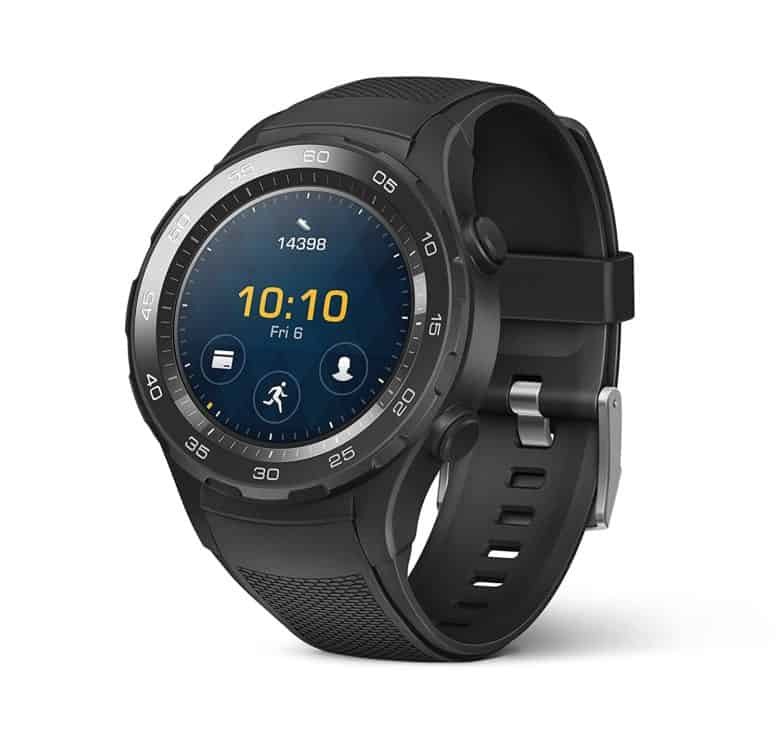 Huawei’s latest smartwatch packs GPS tracking, a built-in workout coach, heart rate monitoring, and impressively long battery life. And because it runs Android Wear, it plays nicely with iPhone. Get yours in black for $179 — down from $299.99 — on Amazon. It’s time to take your coffee game to the next level. The Kuerig K55 Brewer serves you a perfect cup of joe every time — without a lengthy wait. 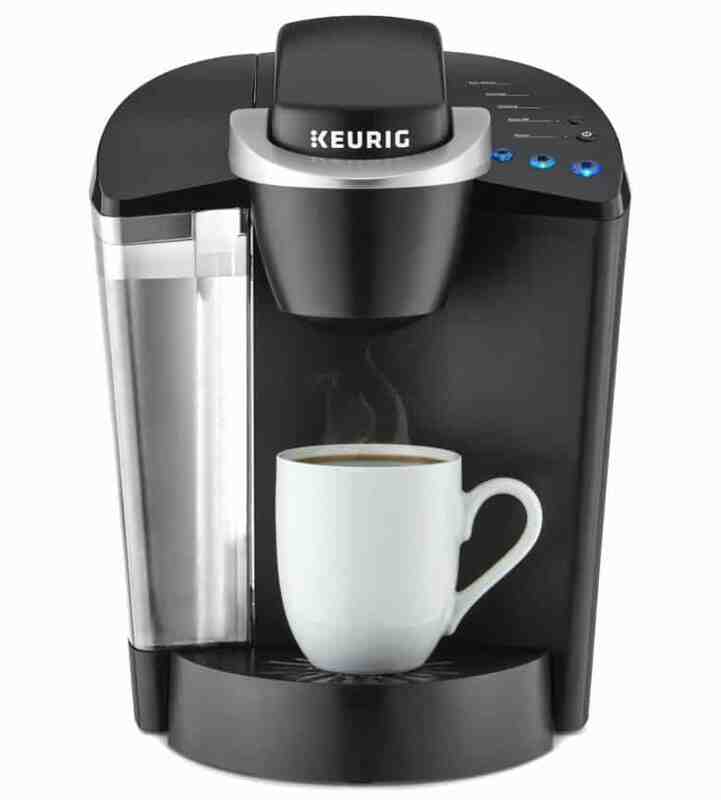 It’s compatible with 6, 8, and 10 oz K-Cups, and boasts descaling and auto-off functionality. Get yours with a variety pack of 40 coffees for just $59.99 — down from $95 — in Amazon’s Deal of the Day. Own a car that needs a little encouragement in the mornings? 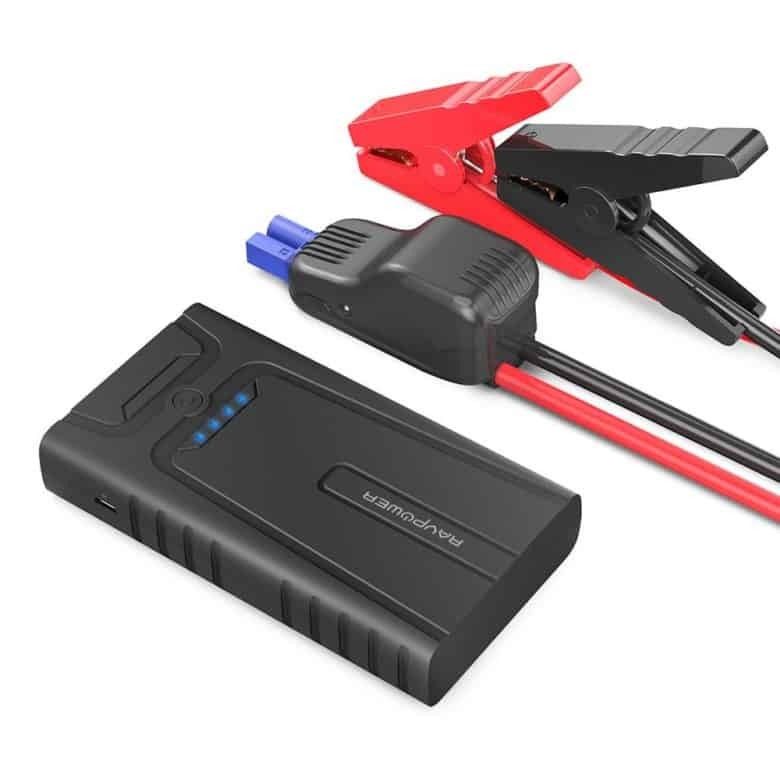 The RAVPower Car Jump Starter packs a 10,000mAh battery that can get your flat battery going again. It has built-in protection for up to 3-liter gas engines, and can also charge your smartphone, tablet, and other gadgets over USB. Get yours today for just $33.99 — down from $49.99 — by using code ND7DVGH2 at checkout. 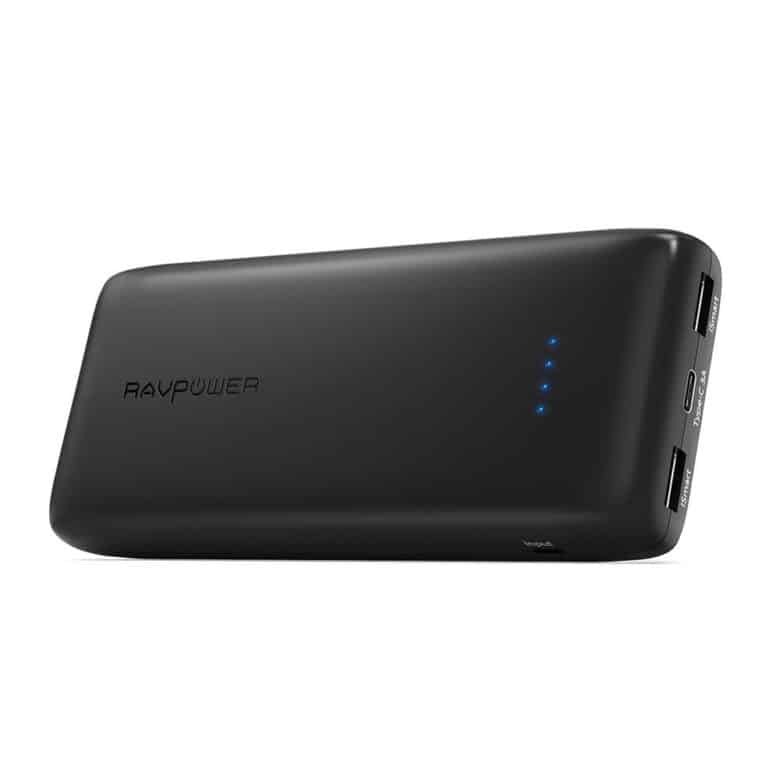 RAVPower’s excellent 2,2000mAh Power Bank packs enough energy to charge your mobile devices several times over. It’s perfect for those who are always on the move, with USB-A and USB-C connectivity, and fast-charging technology. Get yours for just $36.99 — down from $49.99 — by using code 4HBASC57 at checkout. Need extra energy on the go? 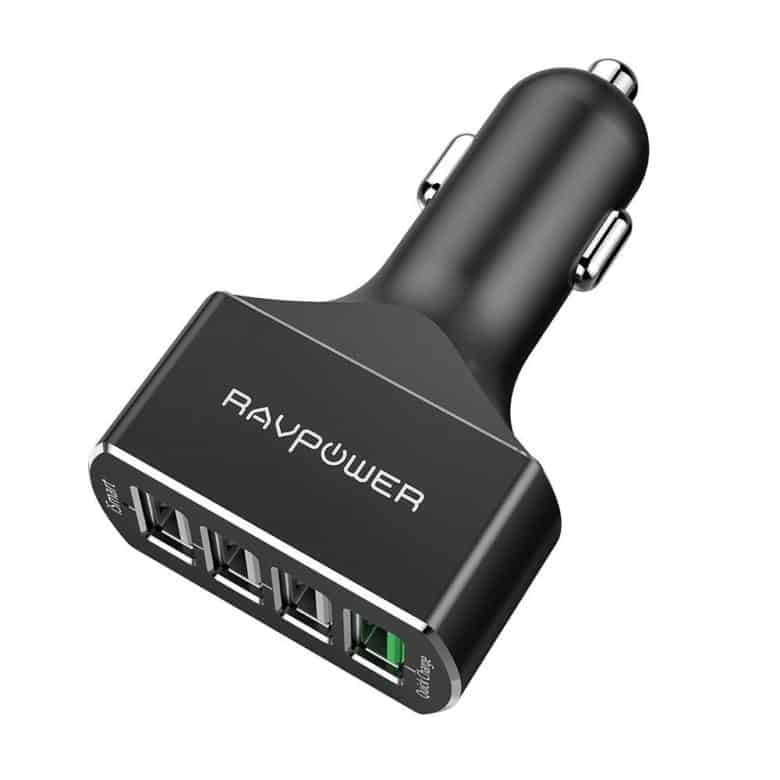 Pick up RAVPower’s Quick Charge 3.0 54W 4-port car charger with 40 percent off for Black Friday. It’s perfect for smartphones, tablets, cameras, consoles, and just about anything else that charges over USB. Get yours for just $8.99 by using code CNETBFCY at checkout. Treat your favorite gamer to a brand new Xbox One S this Christmas and save $90 at B&H Photo Video. $189 gets you the console itself with 500GB of storage, an Xbox One wireless controller, and support for Blu-ray and HDR. 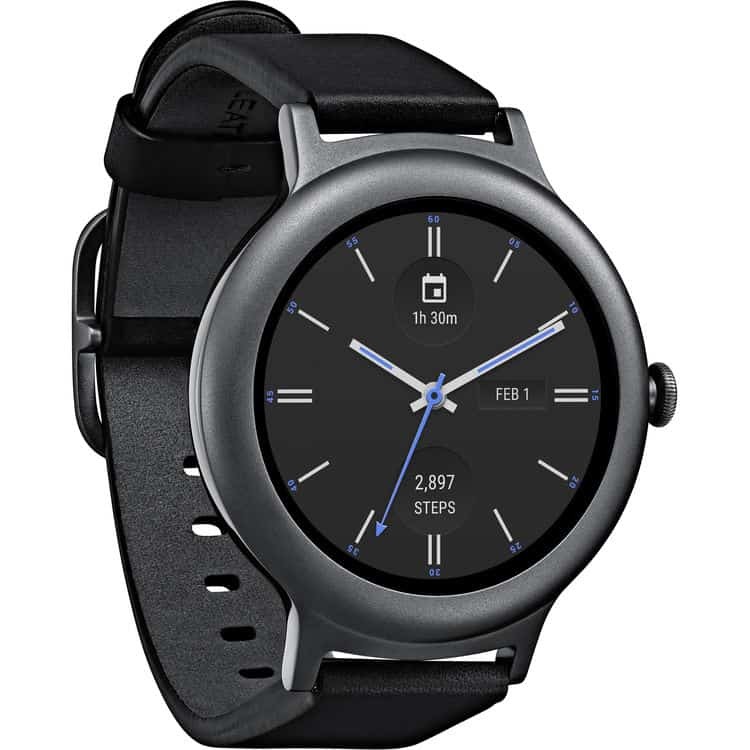 The LG Watch Style is the subtlest of smartwatches, powered by the very latest version of Android Wear (compatible with iPhone). 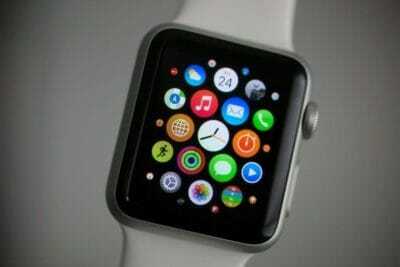 It packs a 1.2-inch P-OLED display, a Snapdragon Wear 2100 processor, 512MB of RAM, and 4GB of storage. It’s also water-resistant, and an absolute bargain at $99.99, down from $150. Ready to step into VR gaming? 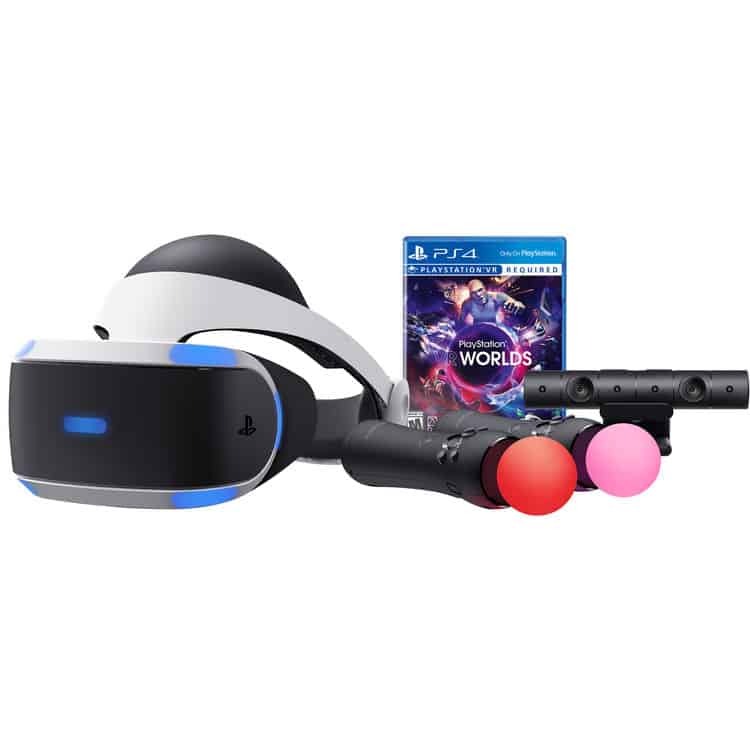 Get the PlayStation 4 VR Worlds Bundle from B&H Photo Video for $349.99 — $100 off its regular price tag. 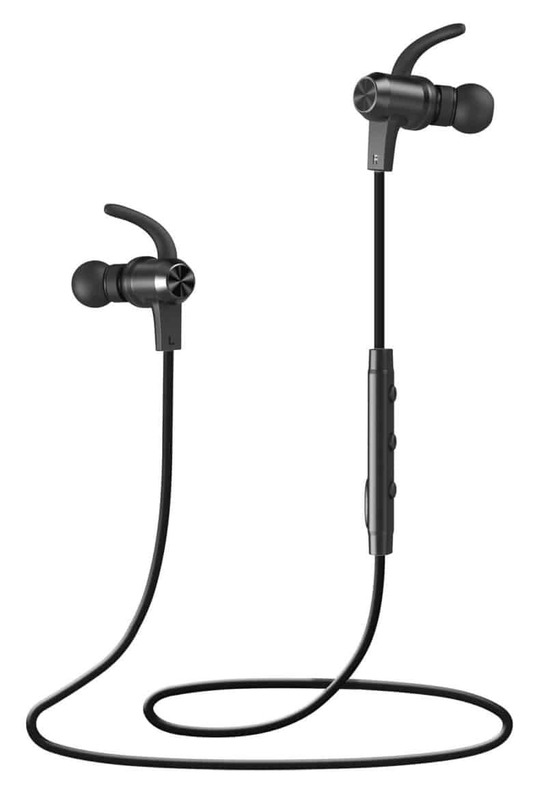 Boasting wireless technology and decent sound quality, these sport earphones feature 8 hours of playback, an IPX5 splashproof aluminum design, and noise cancelling mic. Normally costing $33.99, they’re currently reduced to just $19.99, so long as you enter the promo code “9HMCYZ2N” at checkout. 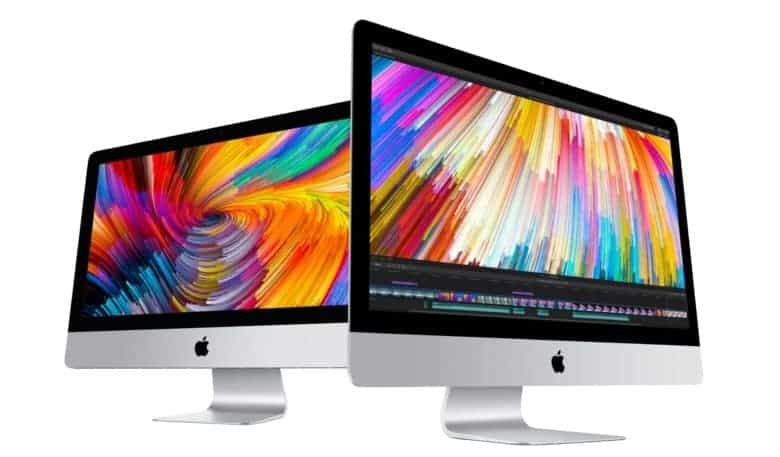 B&H Photo Video’s big Apple deals include $200 off a 21.5-inch iMac with Retina 4K display. This model packs an Intel Core i7 processor, 32GB of RAM, and AMD Radeon Pro 560 graphics for $2,199. 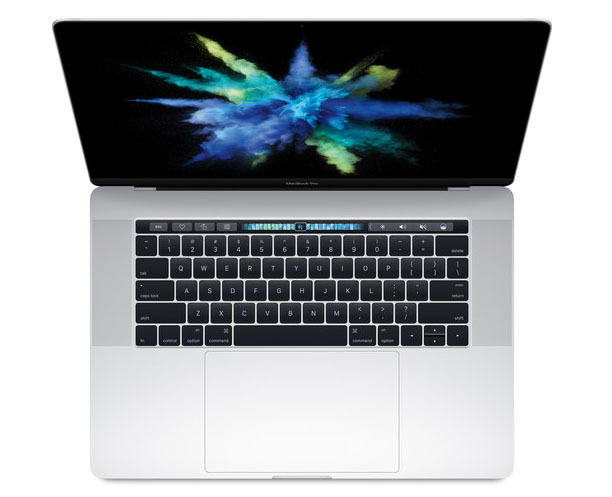 Treat yourself to the latest MacBook Pro with Touch Bar and save $200 at B&H Photo Video. This model comes configured with an Intel Core i7 processor, 16GB of RAM, and an AMD Radeon Pro 560 graphics chip for $3,199. 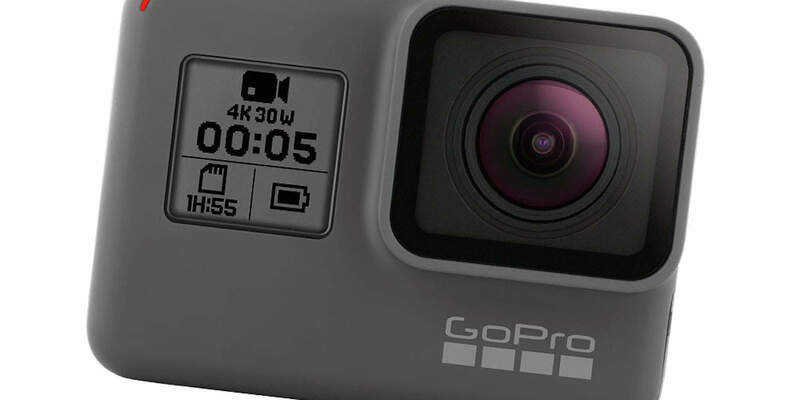 B&H Photo Video is matching Target’s price on the GoPro Hero5. You get the camera itself, a frame, a rechargeable battery, the curved adhesive mount, the flat adhesive mount, a mounting buckle, and a USB cable for $349. And if that wasn’t enough, B&H is also throwing in a $50 B&H e-gift card that you can use to save even more money on another purchase. Great MacPhun photo apps for a big discount! 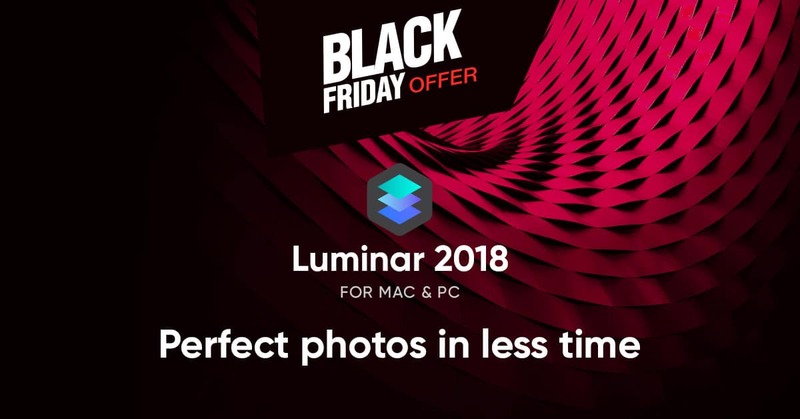 MacPhun has a couple of great Black Friday deals for two of its apps: all-in-one photo app Luminar 2018 and HDR editor Aurora HDR 2018 — for both Mac and Windows. Luminar offers everything a modern photographer needs for photo editing — including intelligent filters and over 100 presets to deliver some great results. Between now and November 29, you can get a $130 bundle (with some extra goodies) for just $69. 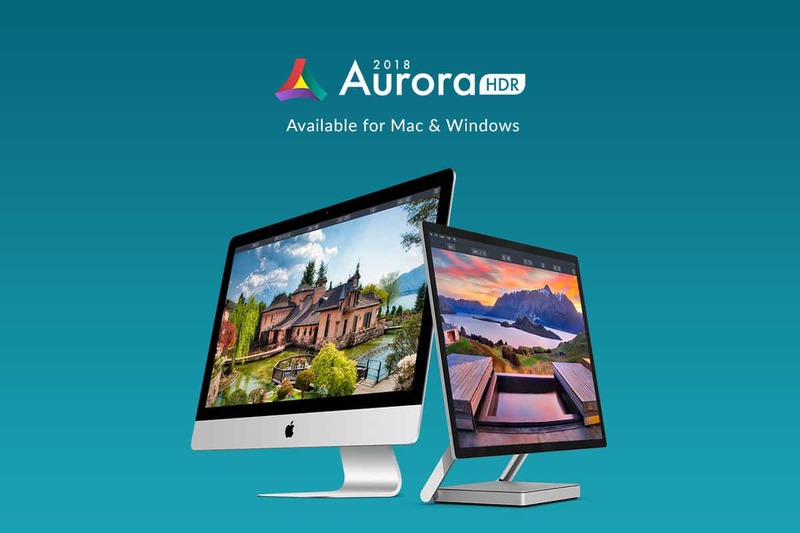 Meanwhile, powerful all-in-one HDR editor Aurora 2018 brings countless options to create perfect HDR photos — from one-click presets and advanced tone-mapping, to layers, noise reduction and powerful luminosity masking controls. From now through November 29, get it for $89, complete with bonus add-ons. 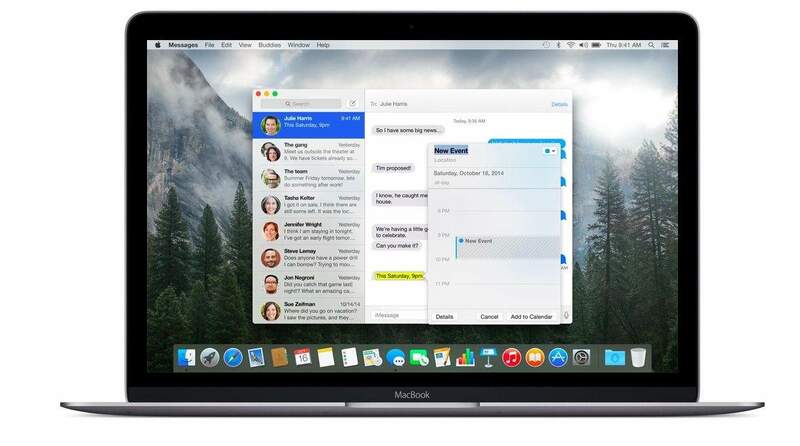 iMazing is the ultimate tool for managing iOS devices on a Mac or PC. You can use it to create backups, transfer text messages and other data from one device to another, to download photos, videos, and music, and lots more. Until Monday, November 27, you can get 30 percent off all iMazing 2 licenses. That includes single, universal, and family licenses. Looking to pick up some great tech books, biographies, or, heck, just a good novel now that winter is well on its way? Barnes & Noble is offering 20 percent off orders between now and November 26, 2017 at 11:59pm Eastern Time. Whether you’re picking up something for yourself or getting some early holiday shopping done, that’s a great offer! 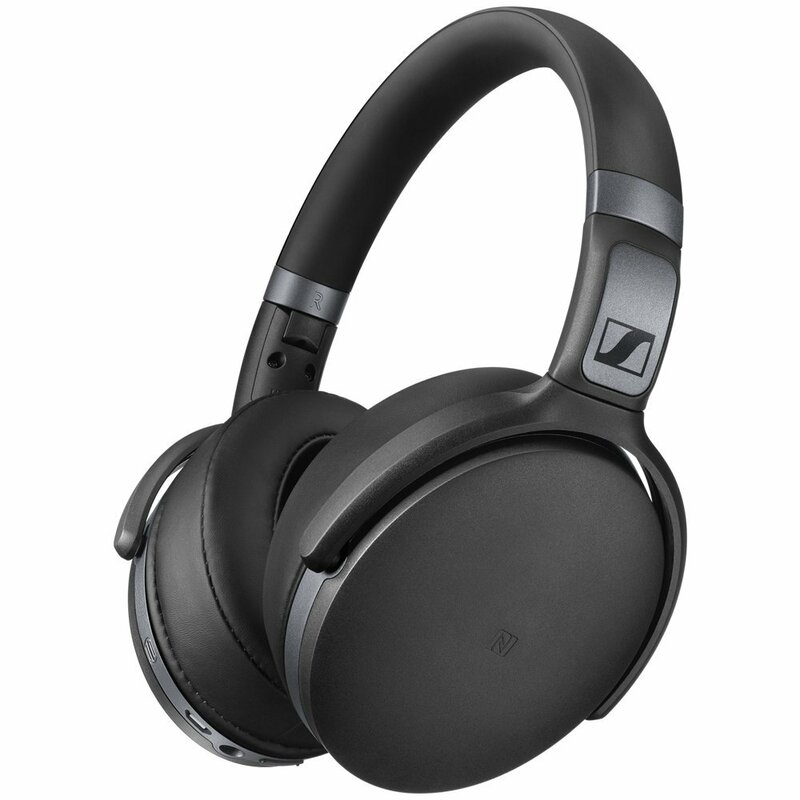 For today only, Amazon has slashed $50 off the Sennheiser HD 4.40 wireless headphones as part of its Black Friday Deals Week. 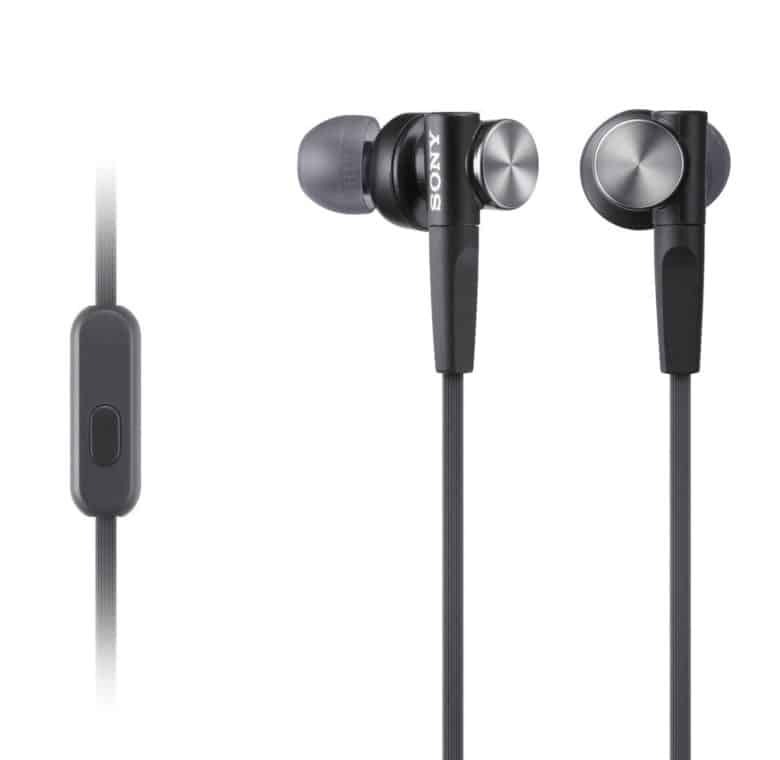 They offer Bluetooth 4.0 connectivity and aptX technology for exceptional sound quality. 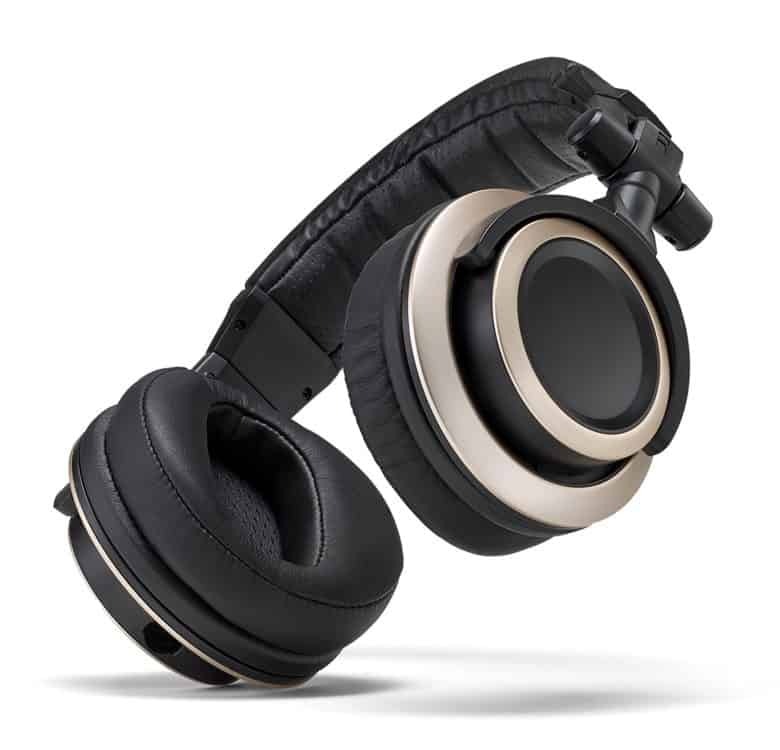 You’ll get up to 25 hours of use in between charges, and soft leatherette-covered earpads for comfort. Grab them now while they’re just $99.95. Aurora HDR 2018, a powerful all-in-one HDR editor, gives you everything you need to create perfect HDR photos. It boasts one-click presets, advanced tone mapping, support for layers, noise reduction, and powerful luminosity masking controls. And until November 29, you can get it with bonuses included for $89 — down from $189. The all-new Luminar 2018 for Mac is just $69 — down from $130 — until November 29. This all-in-one photo editing app offers everything a modern photographer needs in their workflow, including intelligent filters and over 100 presets; advanced tools like layers, masking, and blending; lens correction and transform tools; and lots more. Alternatively, you can buy all of the iOS apps together in the Black Friday Bundle, which is just $11.99, down from $31. 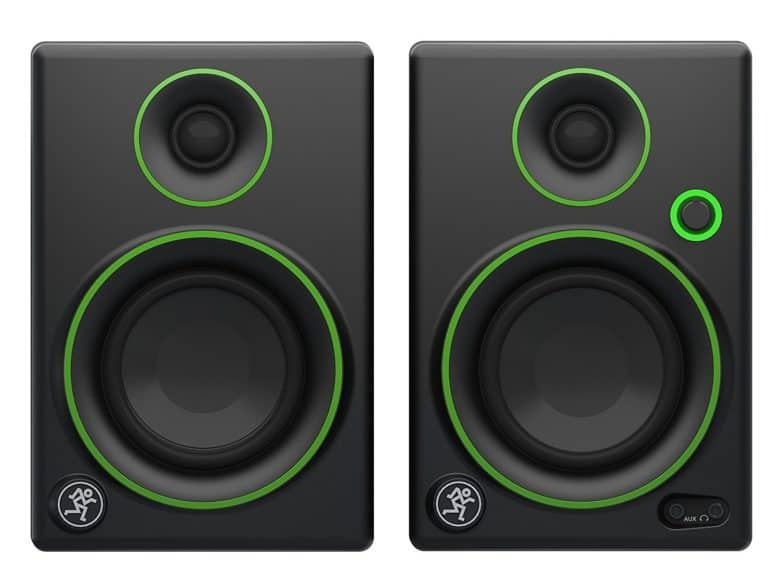 The Best-Selling Mackie CR Series speakers are now on sale on Amazon. Its studio-quality design, sound and performance is ideal for multimedia creation and entertainment. The pair of speakers will look great on any desk or shelf. The list price is $100, but Amazon is selling it for $80 (19% off). Play the electric guitar on the go wit the MIDI portable electric guitar. It works wirelessly with your device and comes with an app that will teach you how to play. 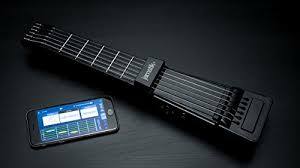 The smart fretboard gives you instant feedback. It connect wirelessly with your Mac via Bluetooth. The list price is $300, but Amazon is selling it for $199 (34% off). Make some great espressos at the touch of the button with a new Nespresso Inissia Espresso Machine. It has compact brewing unit technology that preheats your espresso in 25 seconds. It has an A Class energy rating and will automatically power off after 9 minutes of inactivity, saving you a lot of energy. The list price is $150, but Amazon is selling it for $97.47 (35% off). 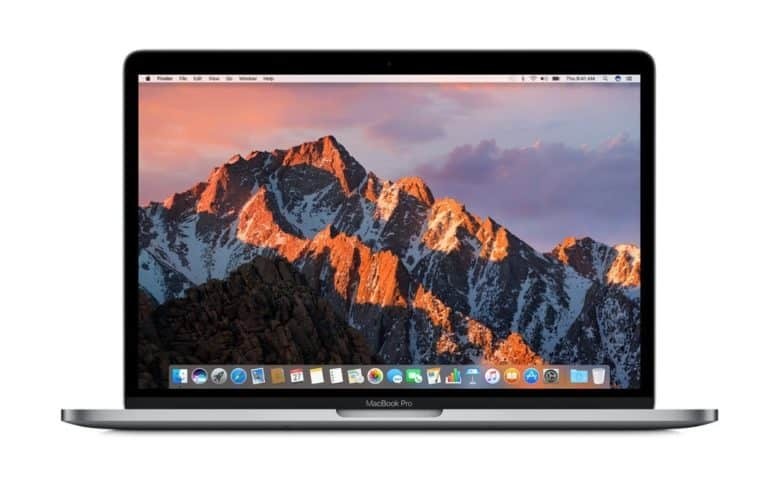 Get a new MacBook Pro this Black Friday for over $400. It has a 3.3GHz dual-core Intel Core i5 processor and 512 GB SSD Storage. 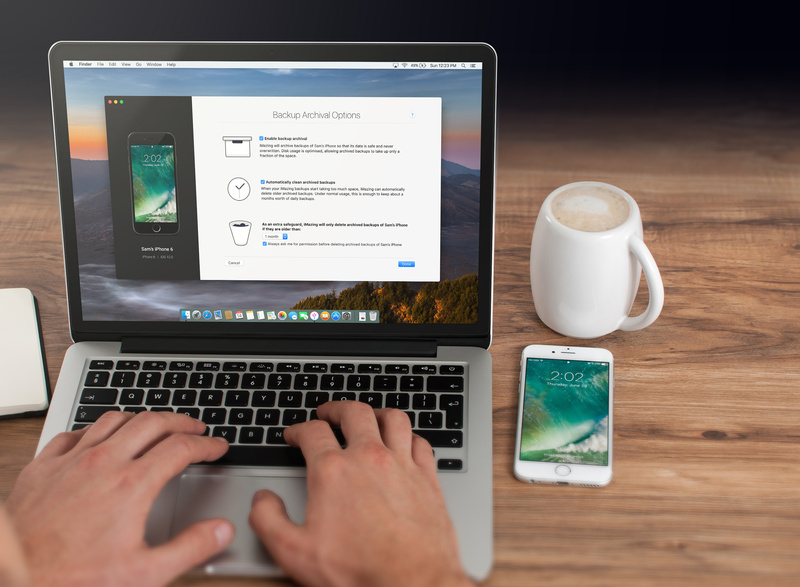 The Touch Bar and Touch ID will save you a ton of time. The list price is $2,399, but Amazon is selling it for $1,984 (17% off). 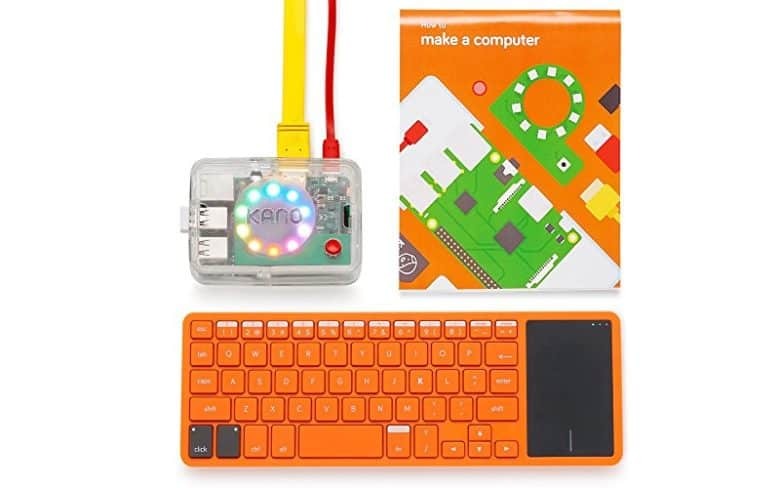 This kit will teach your children how to code. With playful projects and challenges they’ll learn to code art, music, apps, games and more. Its trusted by over 700 schools and code clubs. It includes a Raspberry Pi 3, a case, a speaker, a wireless keyboard, memory, HDMI and power cables. The list price is $120, but Amazon is selling it for $100 (17% off). Get a curved monitor this Black Friday for $200 off. The 800R curvature of the screen provides a truly immersive viewing experience. AMD FreeSync minimizes input latency and dramatically reduces image tearing and stutter during gaming. The list price is $350, but Amazon is selling it for $150 (43% off). Get a new smart phone on Black Friday for over $50 off. The dual-lens 12MP + 2MP rear Camera captures colorful HD photos day or night. The Honor 6x battery delivers a delightful 2.15 days of usage, and 1.5 days of very heavy usage, on a full charge. The list price is $200, but Amazon is selling it for $145 (28% off). 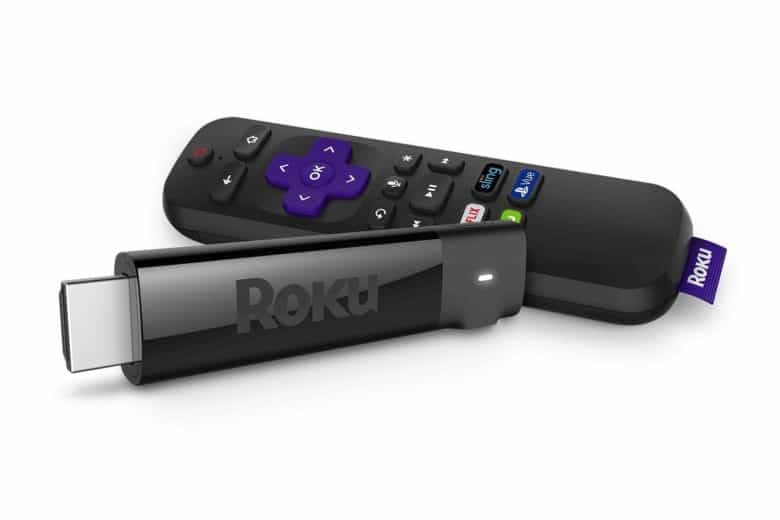 Watch over 500,000 movies and TV shows with the Roku Streaming Stick. Use it at home—or on-the-go. This portable player comes with a voice remote with TV power and volume buttons. The list price is $70, but Amazon is selling it for $48 (31% off). Get a new tablet this Black Friday for an unbeatable price. 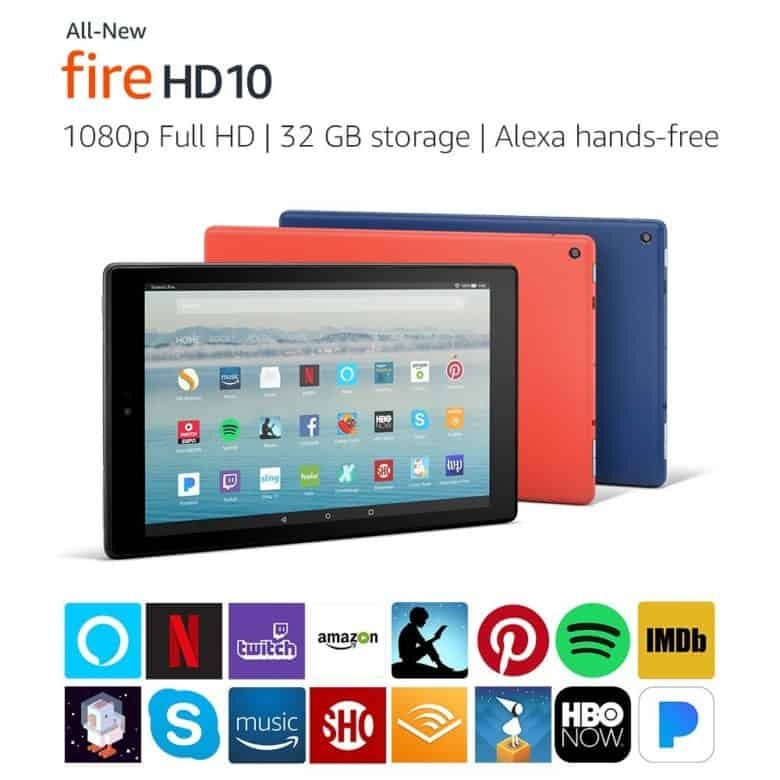 The Fire HD 10 is Amazon’s new tablet. If you have an Amazon Prime account you can watch hours of premium shows and movies. Use Alexa hands-free mode to pause videos, play music, open apps, show sports scores, display the weather, and more. The list price is $150, but Amazon is selling it for $100 ($50 off). The list price is $80, but Amazon is selling it for $55 (30% off). Burn off that Thanksgiving turkey with the MOPS Sport Headphones. 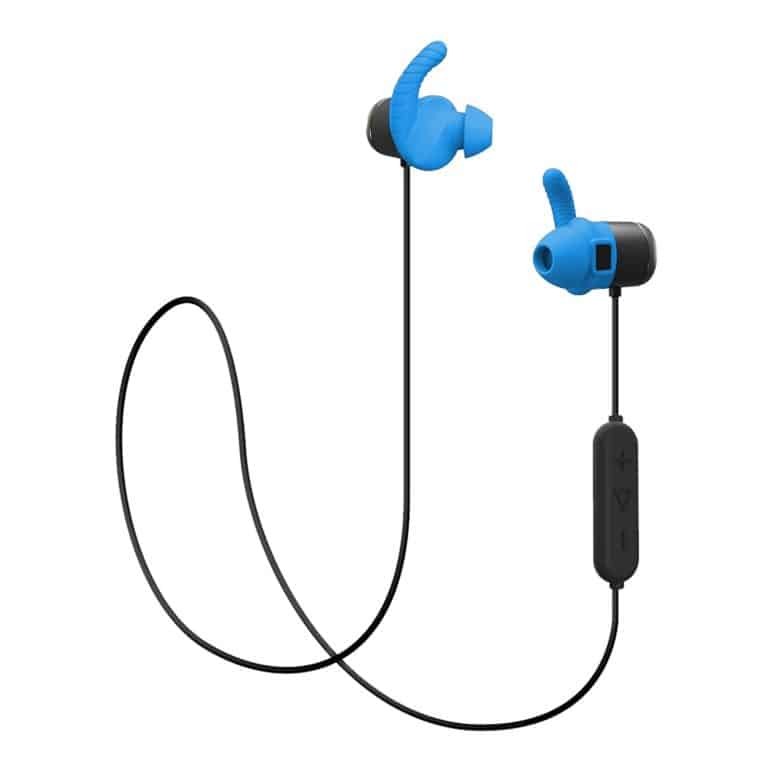 These headphones are sweat proof and come with a built in heart rate monitor, perfect for jogging. The list price is $250, but Amazon is selling it for $127 (49% off). 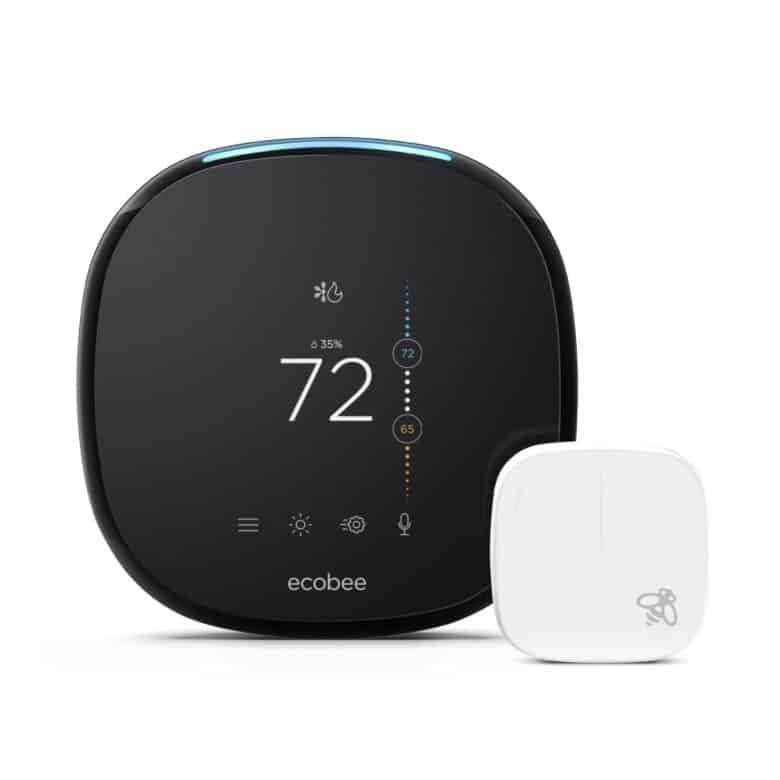 Make your house a little bit smarter this holiday season with the Ecobee4 smart thermostat. Amazon is taking $50 off the price of the HomeKit-powered thermostat, dropping the price to just $200. Ecobee4 comes with built-in HomeKit support so you can control it with your iPhone. It also has Alexa Voice Service, so you can ask it to set a timer, read you the news, adjust the temperature, and more. Action sports enthusiasts that don’t have a drone and still haven’t picked up the new GoPro Hero 6 should check out this deal. You can get $200 off on the GoPro Karma drone bundle that includes a new GoPro Hero 6, putting the price at just $1000. The bundle also comes with the Karma grip stabilizer that you can use to capture smooth footage from the ground too. Get ready to back up all your content going into 2018 on Seagate’s excellent portable harddrives. 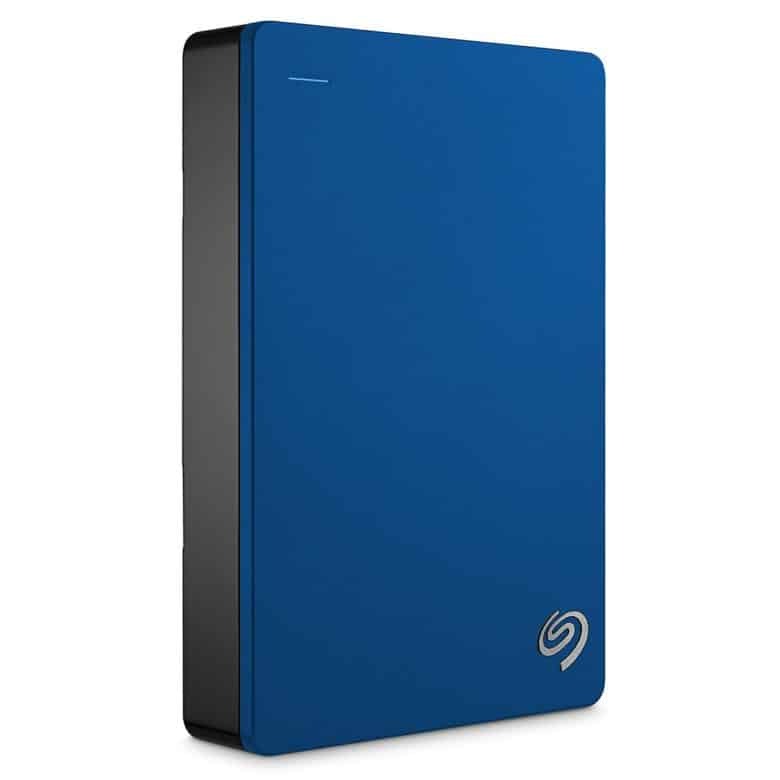 The 4TB model is discounted nearly 30% for Black Friday, bringing the price to $94. Color options include black, silver, red and blue. 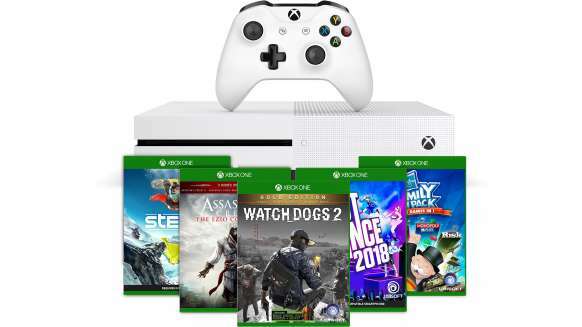 The Xbox One S is a popular item for a lot of Black Friday deals this year, but Microsoft has the best bundle offer available with a $60 discount. For $189 you’ll get the 500GB Xbox One S with a free game, 1-month Xbox Game Pass trial, one wireless controller and a 14-day Xbox Live Gold trial. 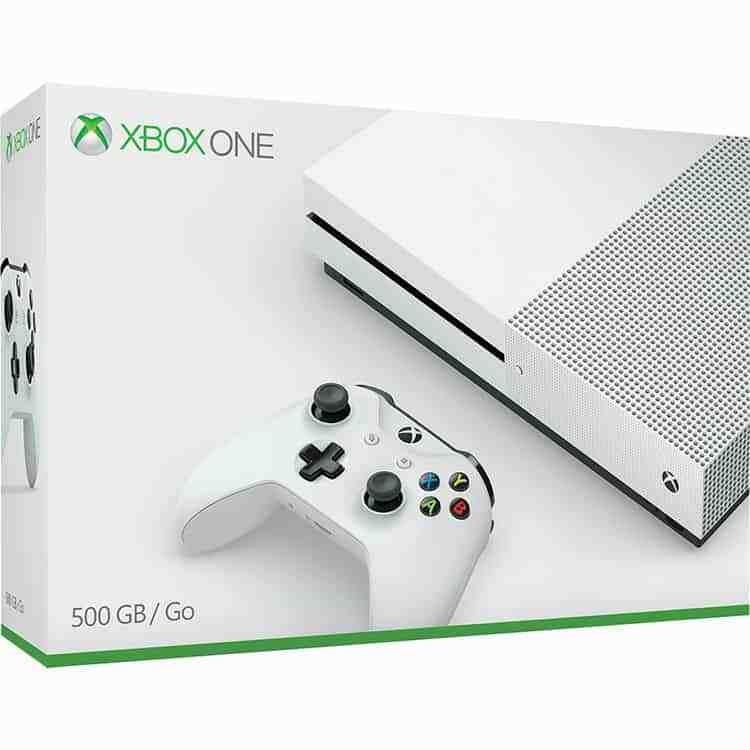 The Xbox One S also plays 4K Ultra HD Blu-rays and HDR video too. The list price is $50, but Amazon is selling it for $26.25 (47% off). Save water and save money with the Blossom 7 Smart Watering Controller. You can create a watering schedule that prevents over-watering. 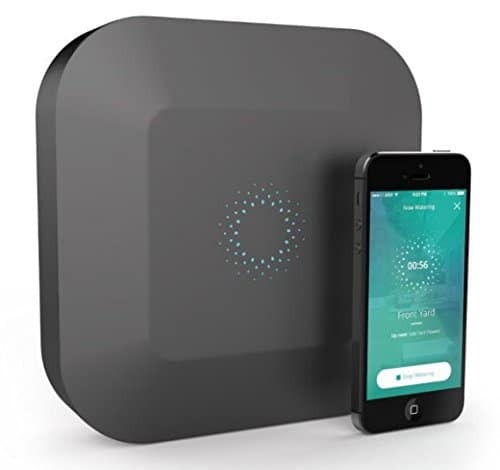 Control your sprinklers with your iPhone or with Amazon Alexa. These extra bass wireless headphones are $70 off. It has a microphone and connects via Bluetooth. Some of Sonos’ best speakers are being discounted up to $100 off for Black Friday on Amazon. The Sonos Playbase’s price has been dropped $100 to $599. 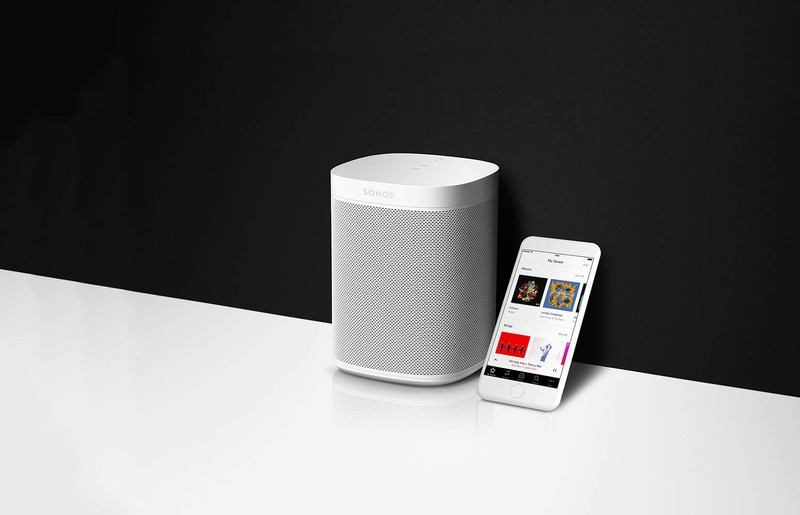 The smaller Sonos One gets a $25 cut down to $179, while the Sonos Play:1 and Sonos Play:3 are both discounted by $50. All three of Apple’s new iPads for 2017 have been given a Black Friday price cut by MacMall. The 10.5-inch iPad Pro and the 12.9-inch iPad Pro are both $70 cheaper for the Black Friday sale, putting their prices at $729 and $879. The 9.7-inch iPad is $30 cheaper. MacMall has a ton of other deals on Apple products too for Black Friday. 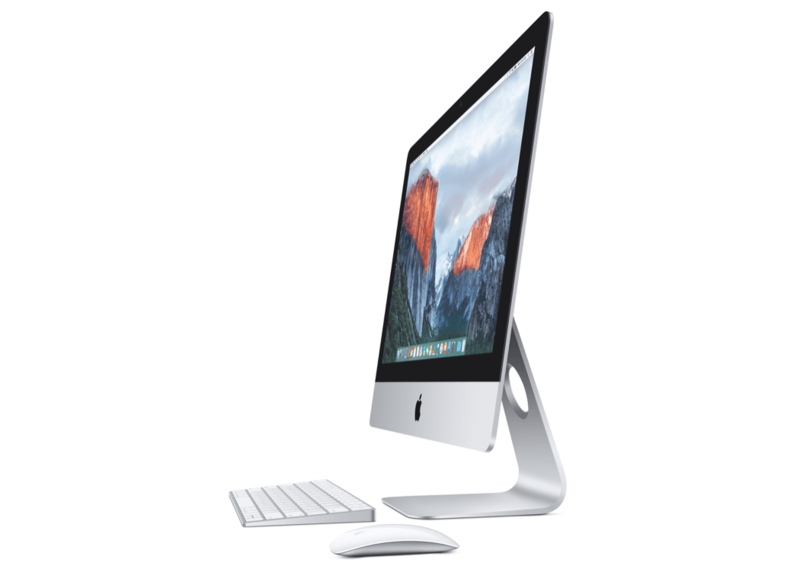 MacBooks, Mac minis, and iMacs are all getting solid price cuts. You can get a great OLED TV for your living room for under $1500 on Black Friday. That may sound pricey, but considering the iPhone X cost almost as much, it’s totally affordable. 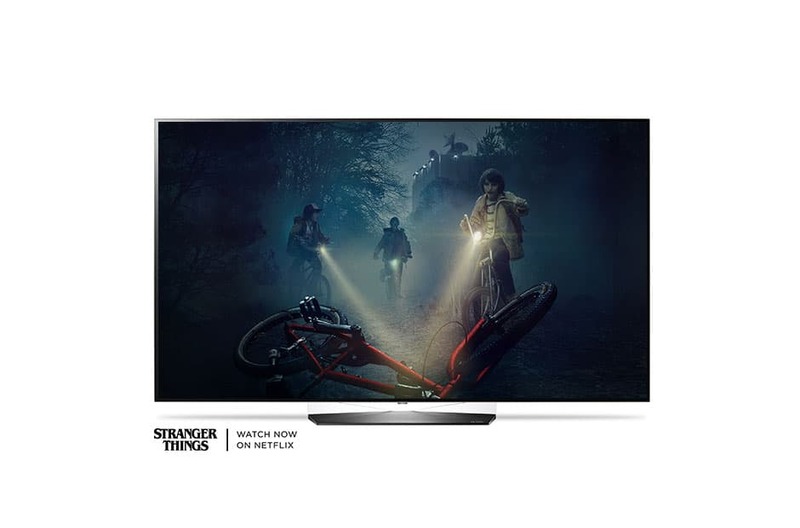 LG is arguably the top OLED TV maker right now and for Black Friday it’s taking $100 off the regular price of its 55-inch OLED 4K HDR TV. This quality of OLED TVs rarely come under the $1500 so take advantage while you can. If you don’t mind upgrading to an iPhone 8 or iPhone 8 Plus this holiday season instead of splurging on iPhone X, Target has a deal that makes Apple’s slightly older iPhones a bit sweeter. On Black Friday, Target is tossing in a $250 gift card when you buy an iPhone 8 or iPhone 8 Plus. It’s not quite as good as huge price cut, but pretty much the next best thing. You can also get an iPhone SE for just $100, saving you $60. If you’re looking to make a serious upgrade, you can get the 2013 Mac Pro for $1110 off, bringing the price tag down to JUST $1,899. 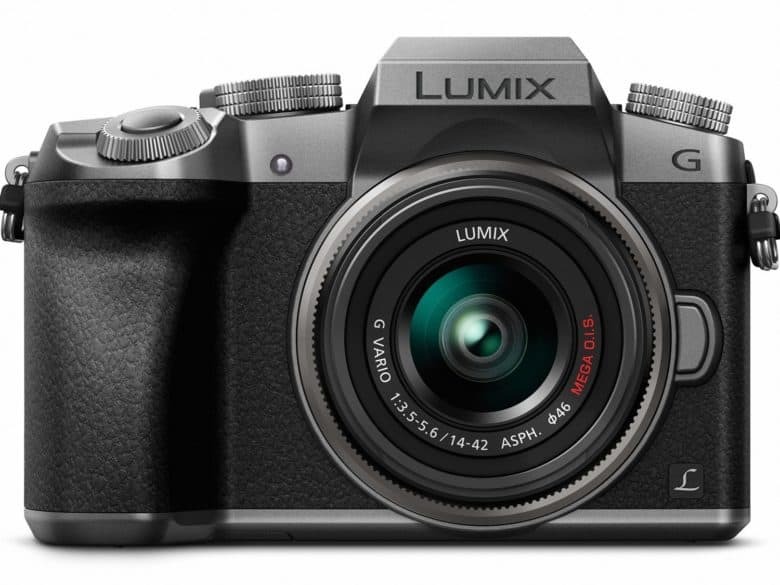 Take some great pictures this holiday season with the Panasonic Lumix G7 Mirrorless Camera. Never miss a photo with three unique 4K Ultra HD Video pause and save 4K Photo Modes. Buy one of the best water bottles on the planet for a great price. 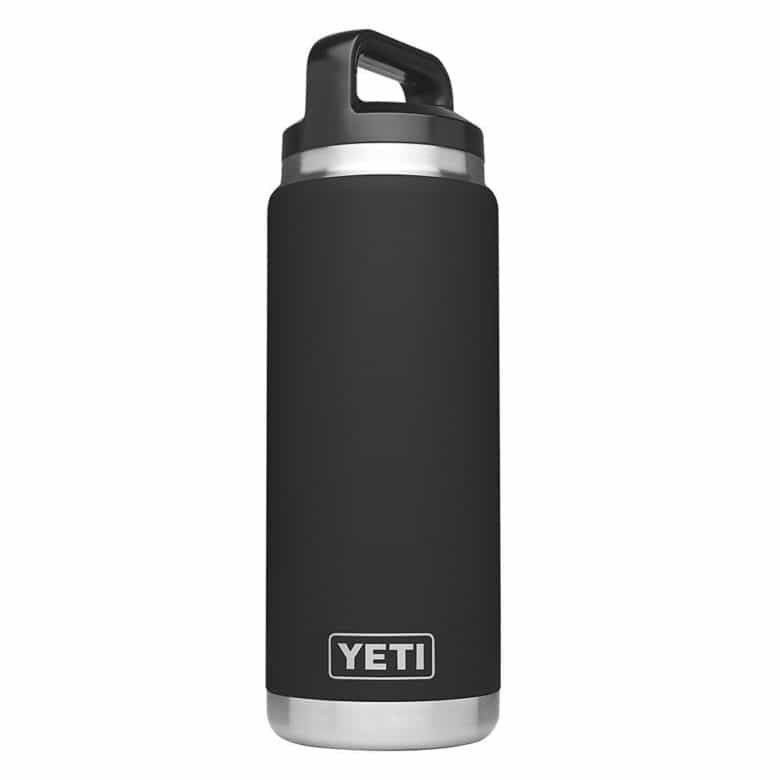 The YETI Rambler 26oz Vacuum Insulated Stainless Steel Bottle will keep your liquids cold for hours. Its also a great stocking stuffer. 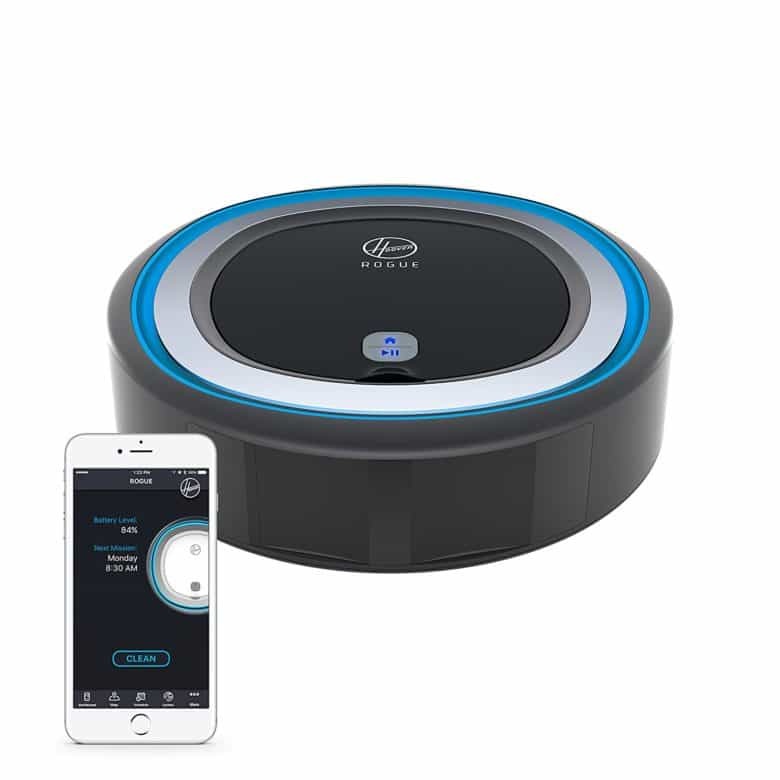 Clean your house on the road with the Rogue 970 Smart Robot Vacuum Cleaner. It is also compatible with Alexa and Google Home Voice Control. Apple’s HomePod won’t be out for Christmas so you might as well pick up a cheap rival while you wait. Amazon is taking $20 off on the price of its Echo speaker on Black Friday. For $80 you get the new design with different color options and an improved audio system. You’ll be able to get the same deal at most major retailers on Black Friday too. Everyone is coming out with deals on drones for Black Friday 2017, including the world’s top drone-maker, DJI. You can get $150 off the Mavic Pro fly more combo. That gives you one of the best portable drones on the market, three batteries, a carrying case and more for just $1,149. For those on a cheaper budget, DJI has taken $100 off the Spark price tag, making it available for just $399. Looking for a great stocking stuffer or easy gift for kids? 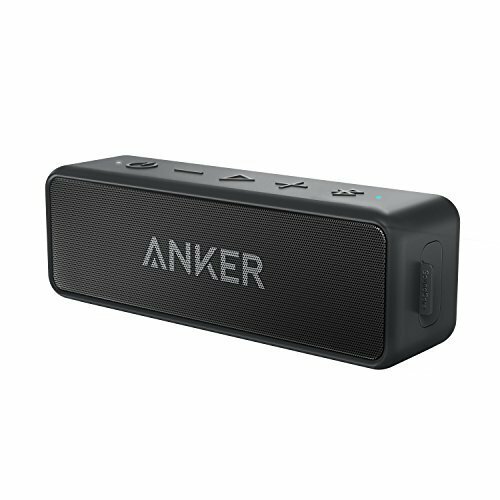 Accessories-maker Anker has come out with a ton good deals on its products, including 20 percent off this little Bluetooth speaker, which packs 24 hours of playback. Its water-resistant, making it great for the beach, and has a range of 66 feet. Get an excellent Black Friday deal with this 28-inch flat screen monitor for over 30% off. 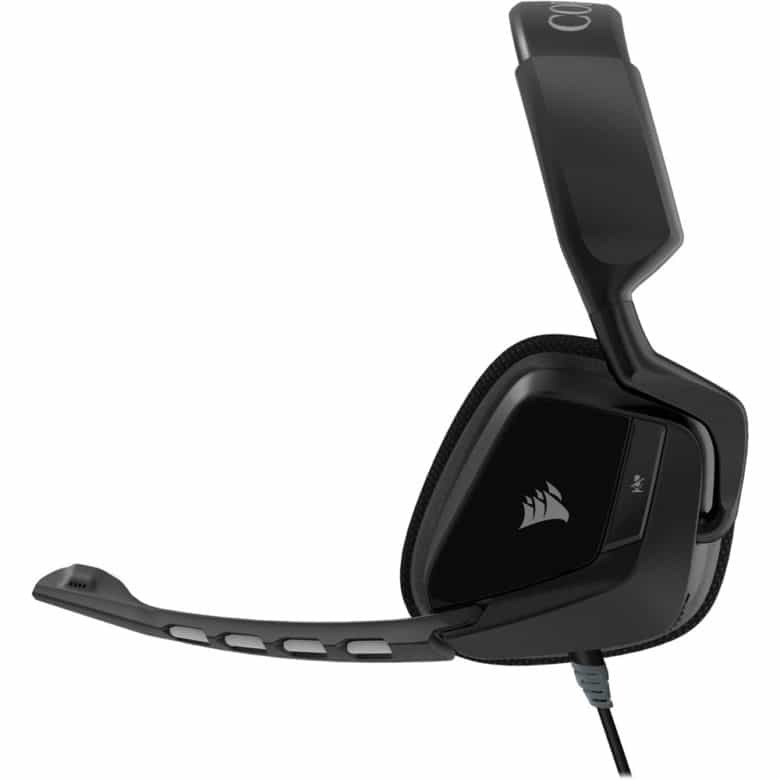 The CORSAIR headsets has great bass and full dynamic range. These headsets work with Xbox One, PlayStation 4, and PC. The list price is $80, but Best Buy is selling it for $40 (50% off). Get noise canceling wireless headphones for over 40% off. 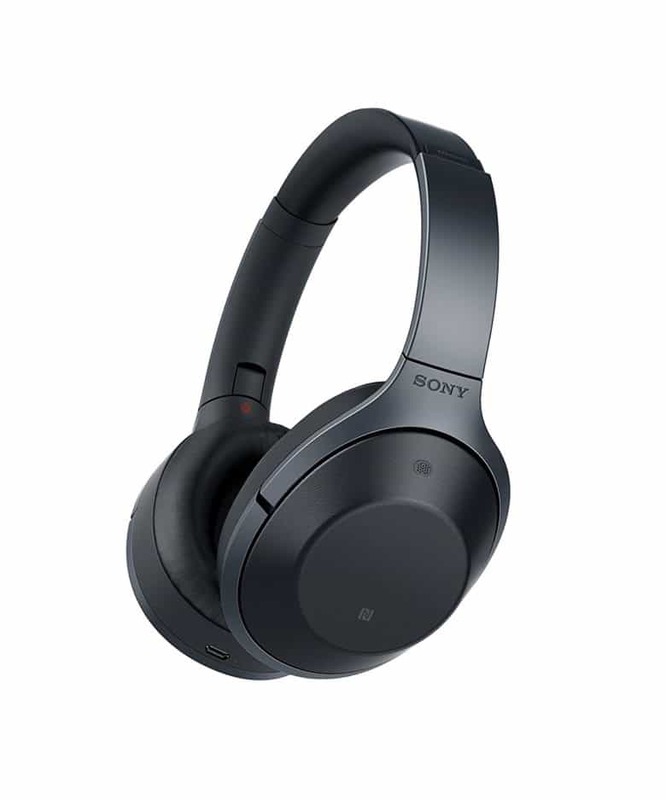 The Sony Premium Noise Canceling Headphones have Hi-Res audio and gets up to 20 hours of playtime per charge. It connects to your phone via Bluetooth. The list price is $400, but Amazon is selling it for $228 (43% off). 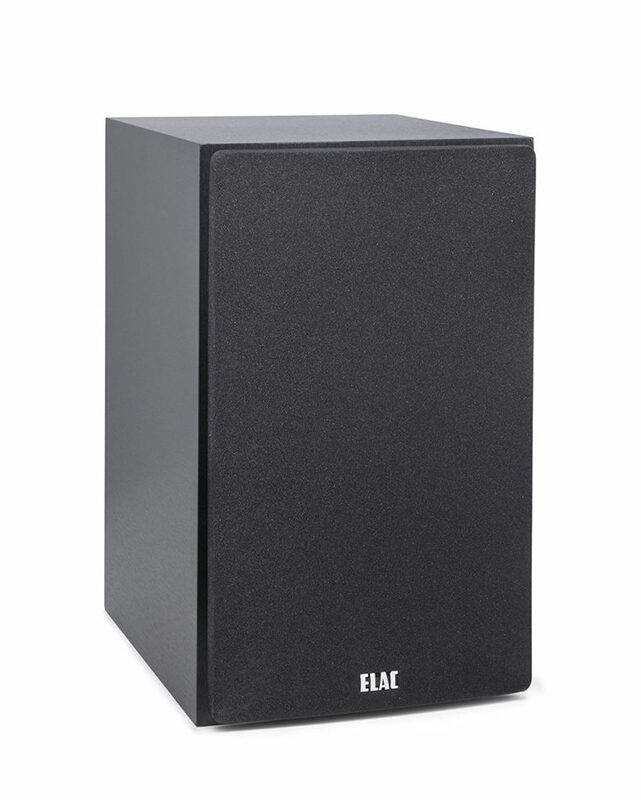 The ELAC BC Debut Series Bookshelf Speakers by Andrew Jones will look great on any shelf or desk. The list price is $280, but Amazon is selling it for $200 (30% off). 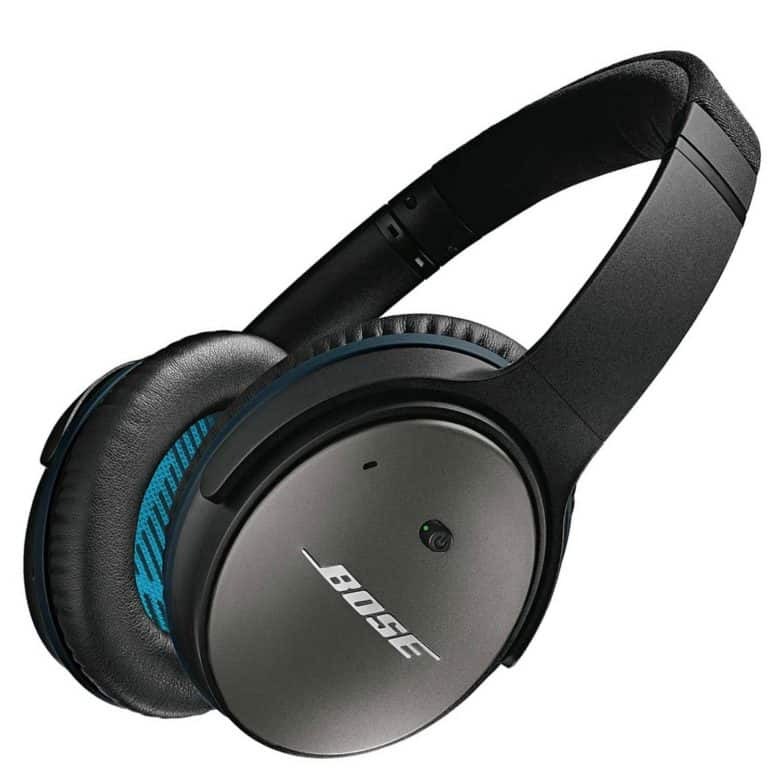 Bose is having a great Black Friday sale with killer discounts on noise canceling headphones and TV speakers that will drastically increase your viewing experience. 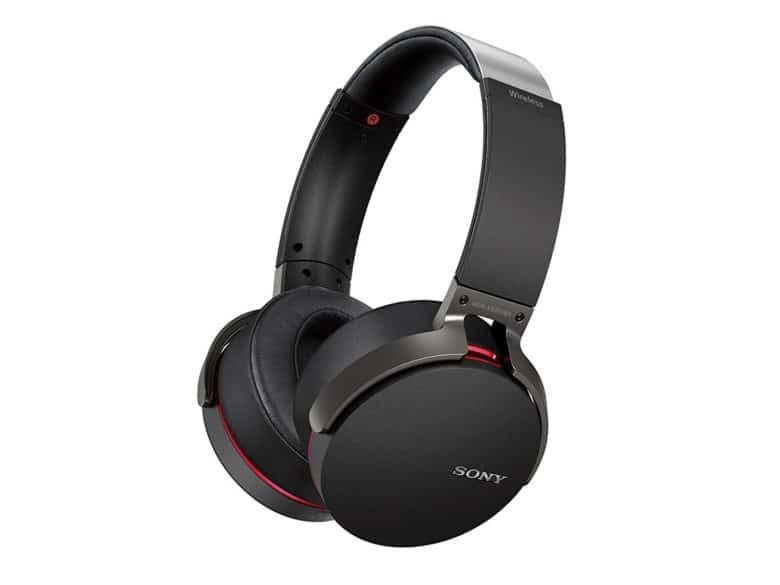 Discounts of more than 50% on select headphones and save up to $50 on speakers. 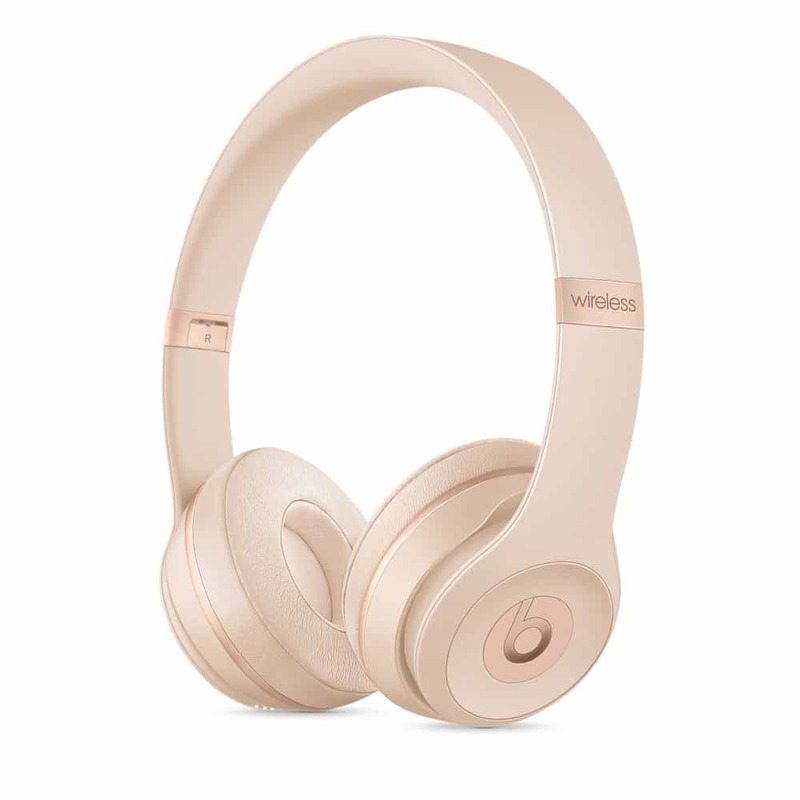 Apple rarely gives fans great Black Friday deals, but the company must be feeling a little generous this year as it has just slashed prices on some new Beats headphones. Discounts of more than 30% can be had on some models like the BeatsX while some of the more expensive models have seen price cuts of 20%. 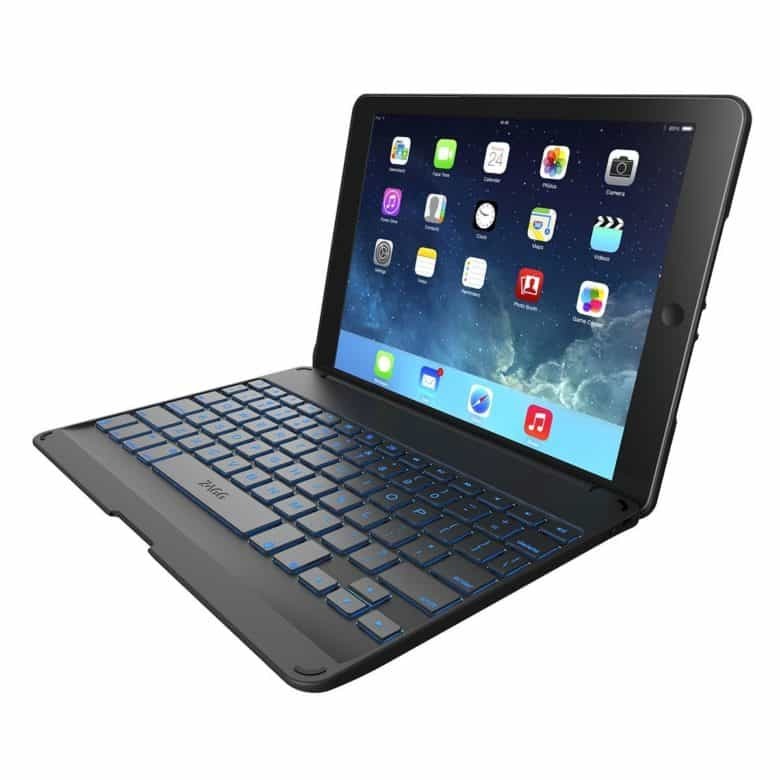 The ZAGG Folio is the one of the thinnest Bluetooth keyboard available for the iPad Air. 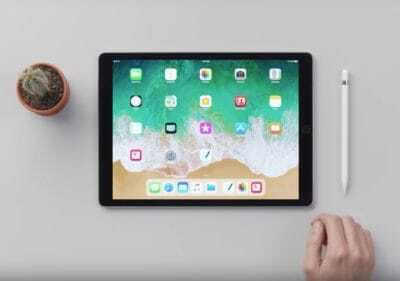 It features a unique hinge design that lets you position your screen at virtually any viewing angle, and protects your iPad Air. It has a three month battery life. The list price is $79.99, but Amazon is selling it for $22.27 (72% off). 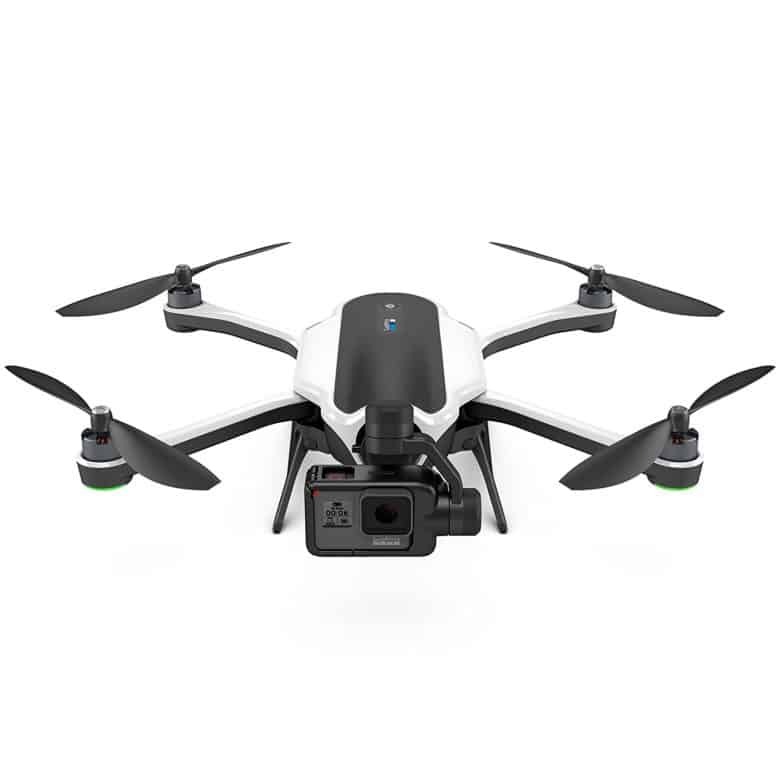 The Spark drone is looking to be one of the most popular drones for Black Friday deals in 2017. Despite its diminutive size, the Spark shoots stabilized HD video and can be flown without a controller using only hand gestures. You can get DJI’s tiny drone for $100 off at Target, bringing the price to just $399. GoPro just came out with the Hero6, but if you’re cool with the Hero5, which was the best action camera for most of 2017, then you should pick one up from Target on Black Friday. The retailer is offering the GoPro Hero5 at $349, knocking $50 off the original price and giving buyers a $50 Target giftcard. There’s also a $90 off deal on the GoPro Hero5 Session that puts it at $249. 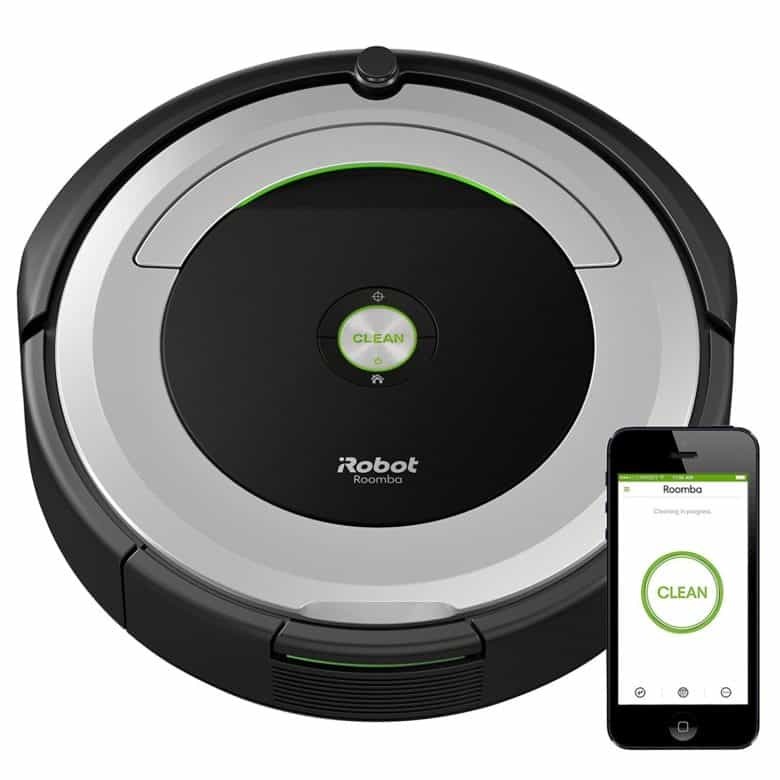 Clean your house on the road with the iPhone compatible Roomba. Get ready to spend the rest of your winter inside binging on video games. 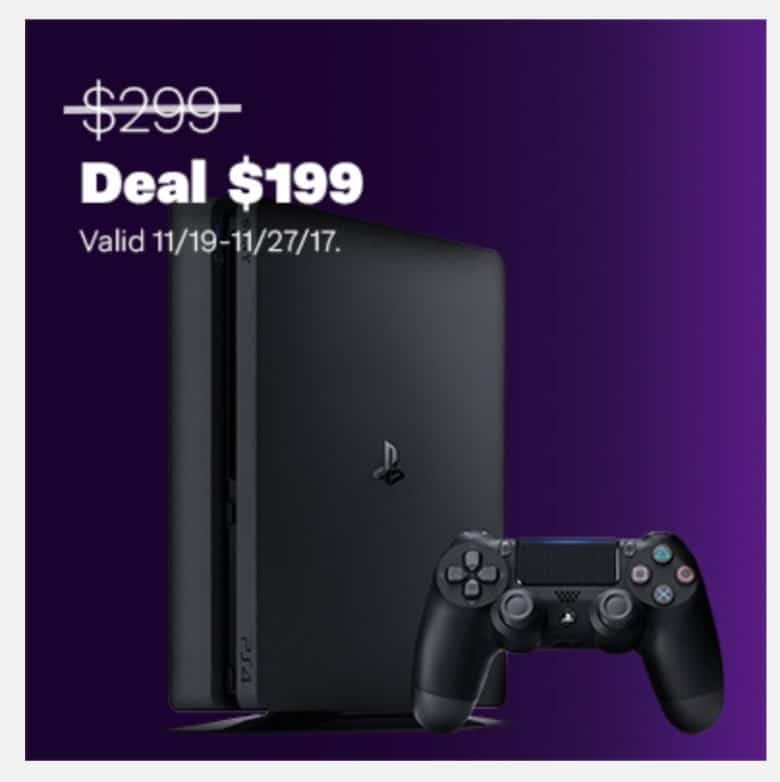 Jet.com revealed today that it will offer the Playstation 4 Slim at $100 off starting on November 19. It looks like it’s just the basic PlayStation 4 Slim package without any games bundled, but at only $199, you might as well buy it as a fancy Blu-Ray player even if you don’t like gaming. The deal lasts until November 27. Black Friday is all about TV deals and for people that are looking to go big, Walmart’s price cut on this 65-inch Samsung 4K TV with a curved display is almost too tempting to pass up. 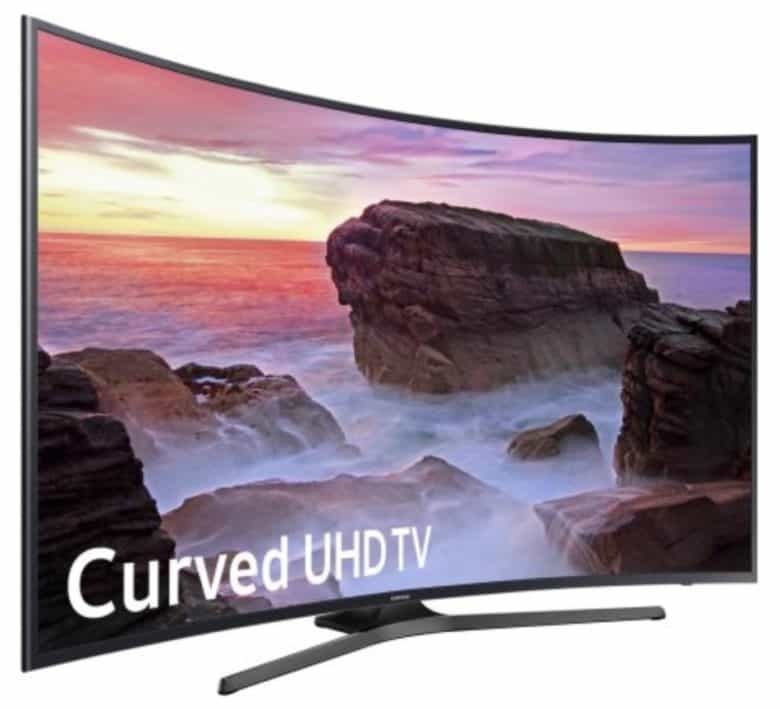 Walmart is saving shoppers of shocking $1,101 $off the price tag by offering the Samsung Curved 65-inch 4K UHD TV for just $1,197.99. Looking for a new iPhone but don’t want to spend $1000 on the iPhone X? Walmart has a killer deal on the iPhone 6 that won’t hurt your wallet if you’re just looking for something to tide you over for a bit. 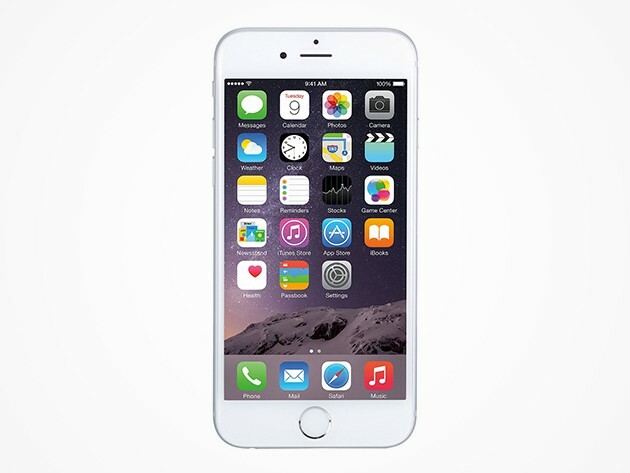 You can get the 32GB iPhone 6 for just $129, saving you $70 off the normal price. The iPhone works on Walmart’s pre-paid Straight Talk service so you don’t have to commit to any long-term carrier upgrade plans either. 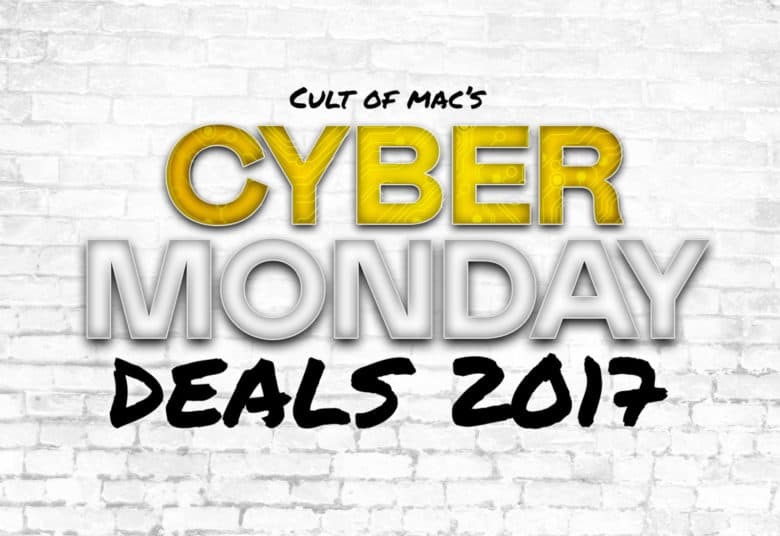 Cult of Mac’s Watch Store will be having its biggest sale of the year for the Black Friday/Cyber Monday weekend! Save from 15% to 30% on top brands including Juuk, Speidel, OleksynPrannyk, Casetify and many more! All Black Friday weekend — grab these deals in time for the holiday shipping. The Mavic Pro is the iPhone of drones. Looking to get into droning? 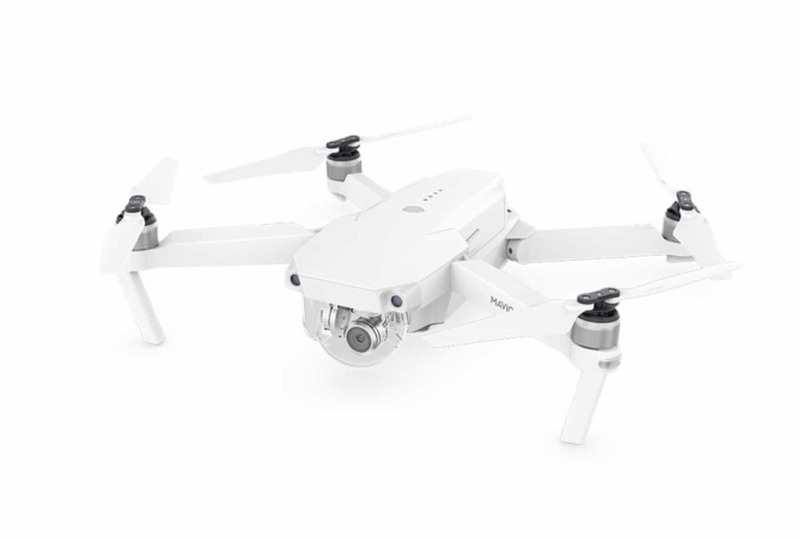 Best Buy has a great deal on two of DJI’s cheapest drones that are ridiculously easy for beginners to learn flying on. The DJI Spark is on sale for $399 (normally $500). The compact drone features an HD camera and can be flown using only hand gestures. 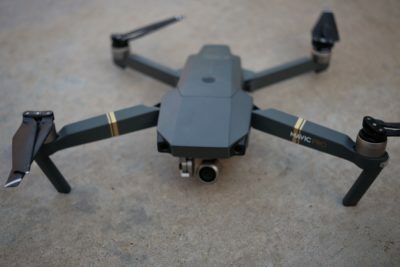 The Mavic Pro also is getting a $100 discount on Black Friday. Best Buy will sell the basic Mavic Pro package for $899, giving fliers 4K video with intelligent flight modes and over 4 miles of range. We’re in love with the iPad Pro. Now is a great time to upgrade to the new 10.5-inch iPad Pro. Best Buy has discounted nearly all models from $125 to $150. For 524.99, you can get the 10.5-inch Wi-Fi only model with 64GB of storage in whatever color you prefer. If you want to go big, the 512GB storage options are available for $849.99, which is $150 discount on the normal price. The Sharp 4K UHD TV comes with Roku TV built in. It wouldn’t be Black Friday without some amazing deals on TVs and Best Buy has you covered. 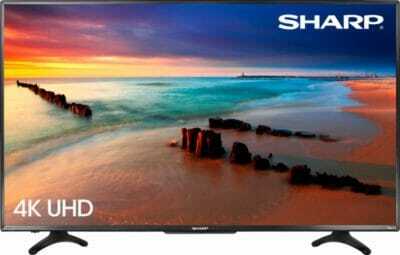 This year you can get a brand new 50-inch 4K TV from Sharp for just $399. That’s a $100 discount off the normal price the LED TV normally goes for. Unfortunately, the deal is only available in stores, so you’ll have to brave the crowds to get it. The original Apple Watch is still great. Don’t care about making phone calls from your without an iPhone but still want a smartwatch? 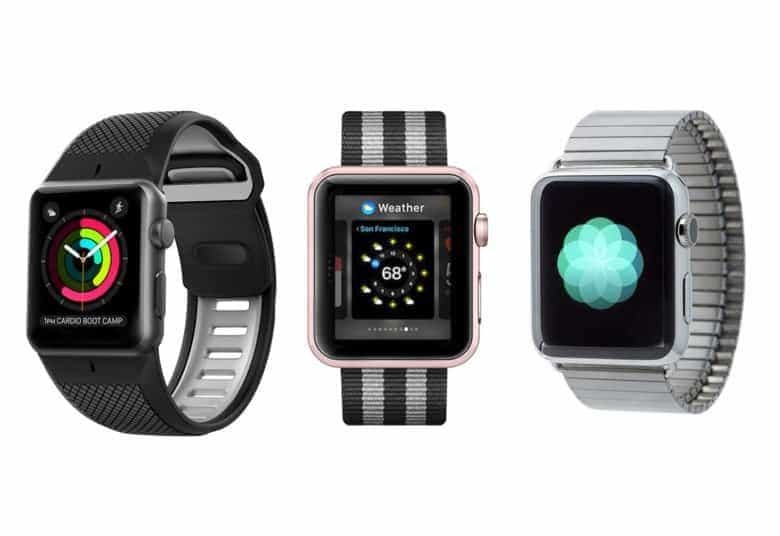 Check out Best Buy’s deal on the Apple Watch Series 1. It doesn’t come with LTE but with the retailer’s $50 Black Friday discount it only costs $229 and packs all the great health and fitness features you’ll need to work off the extra pounds you put on during Thanksgiving. 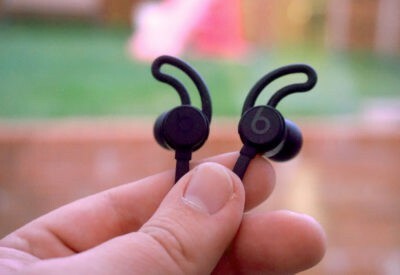 Sleek, light and compact, Beats X Earphones are the perfect wireless companion. Apple probably won’t give any big discounts on its popular AirPods, but this deal on BeatsX wireless earbuds might be the next best thing. Thanks to a $40 discount, the buds only cost $109. They come with the same W1 Bluetooth chip as the AirPods, only they’re not as tiny and easy to lose.